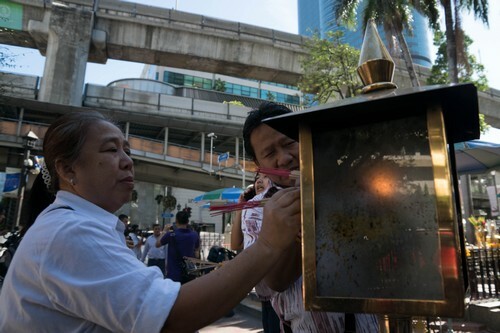 KUALA LUMPUR - Neoh Hock Guan was just about to pray at Bangkok's Erawan shrine on Monday when he dropped the candle he wanted to light. 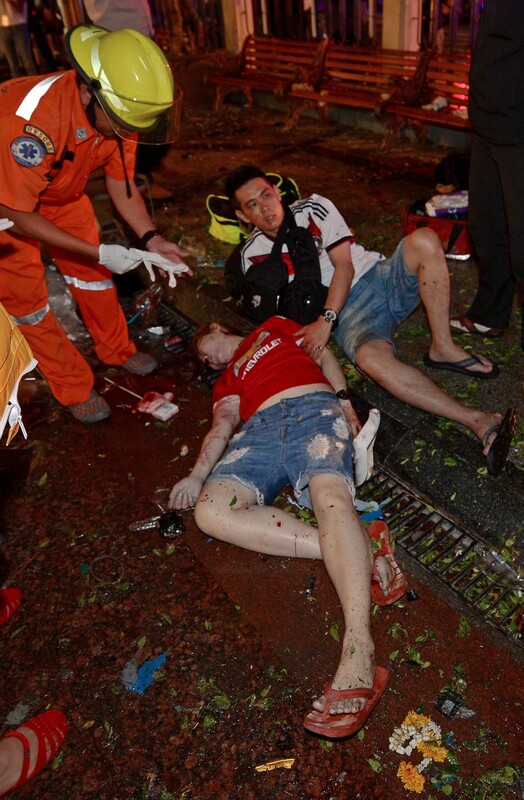 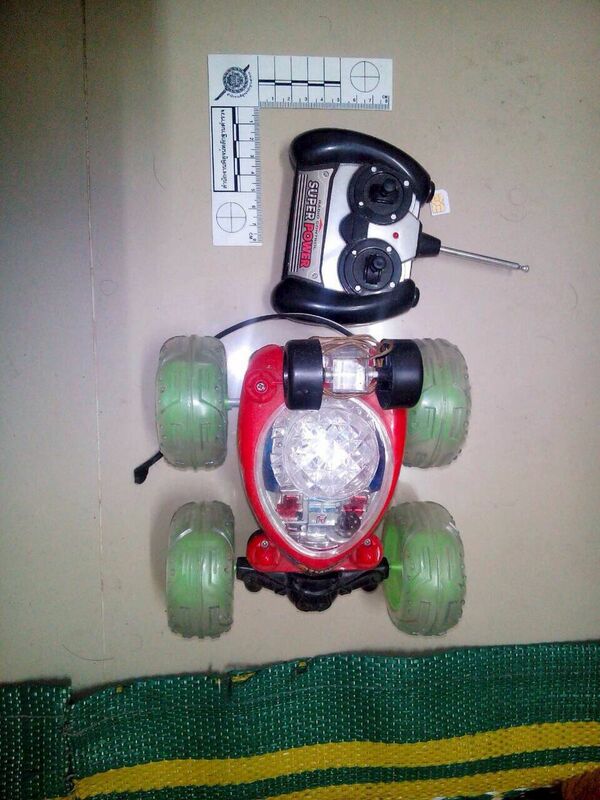 "When I bent to pick it up, I heard the explosion," he told the Malay Mail. 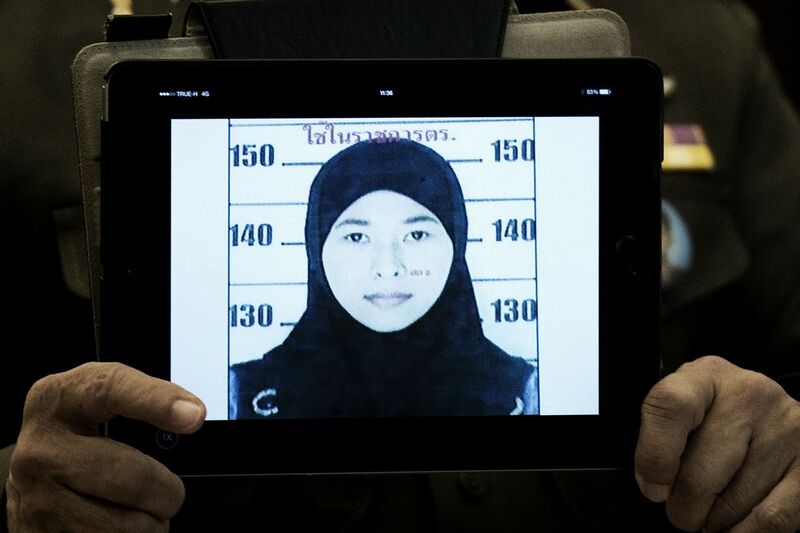 "The next thing I knew, none of my family members were in sight." 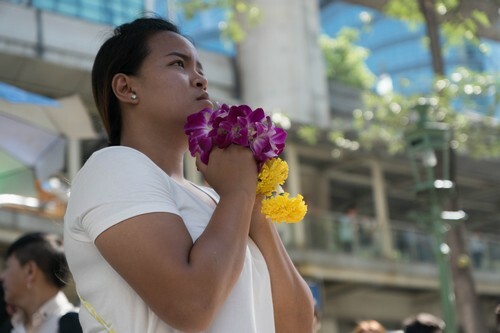 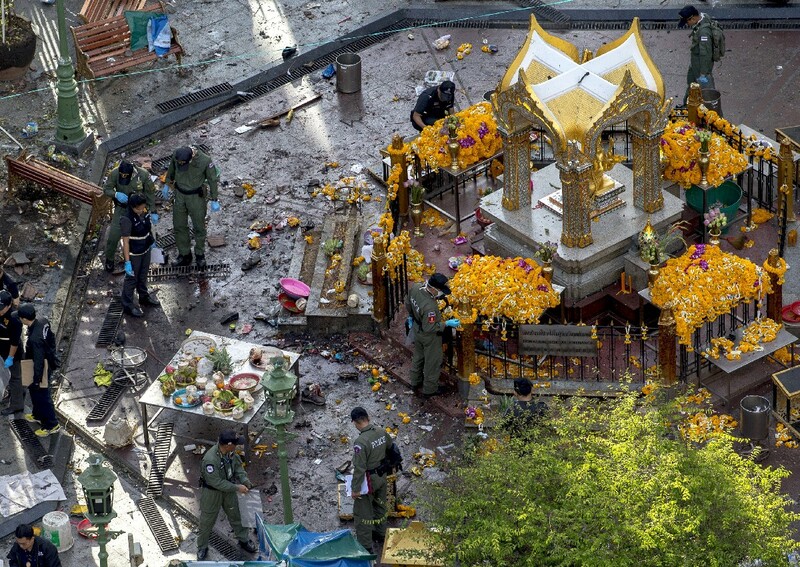 Neoh's wife, son, son-in-law, and four-year-old granddaughter were all killed as the blast ripped through the shrine, twisting metal and shredding bodies in an unprecedented attack in the Thai capital. 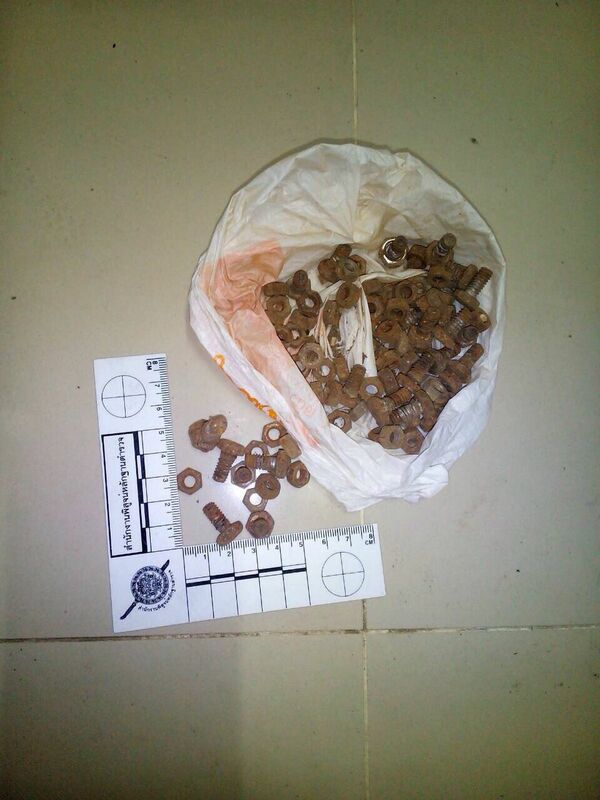 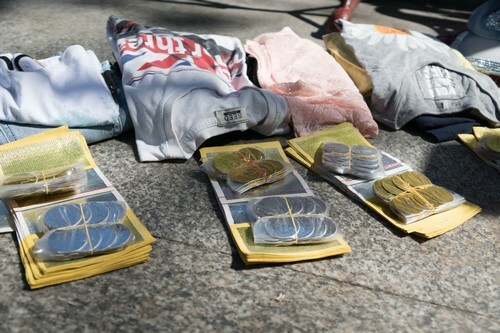 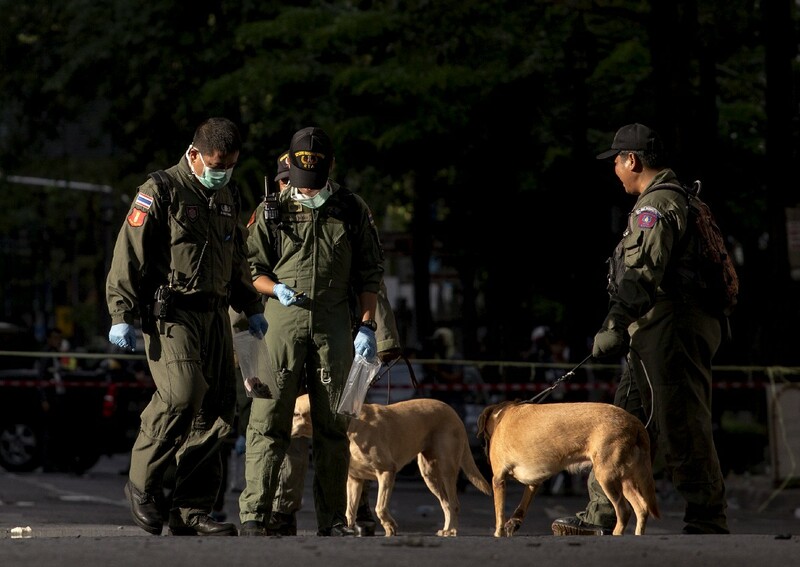 It would be several grim hours before their remains were found, the 55-year-old told media. 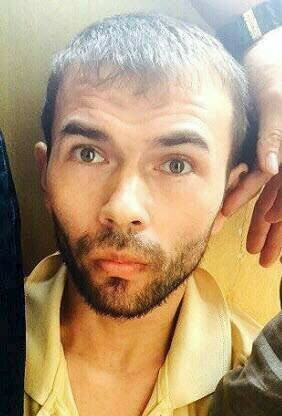 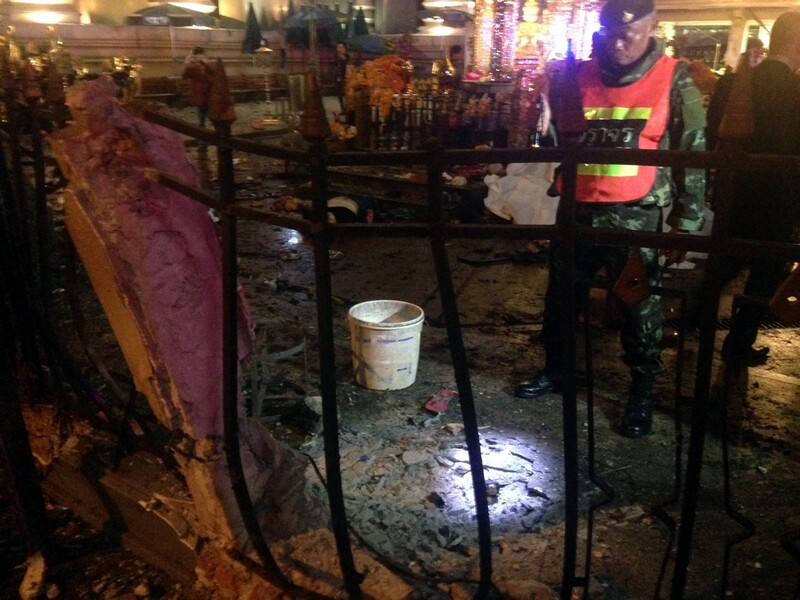 Of the seven family members in the shrine on Monday evening, only he and his pregnant daughter survived. 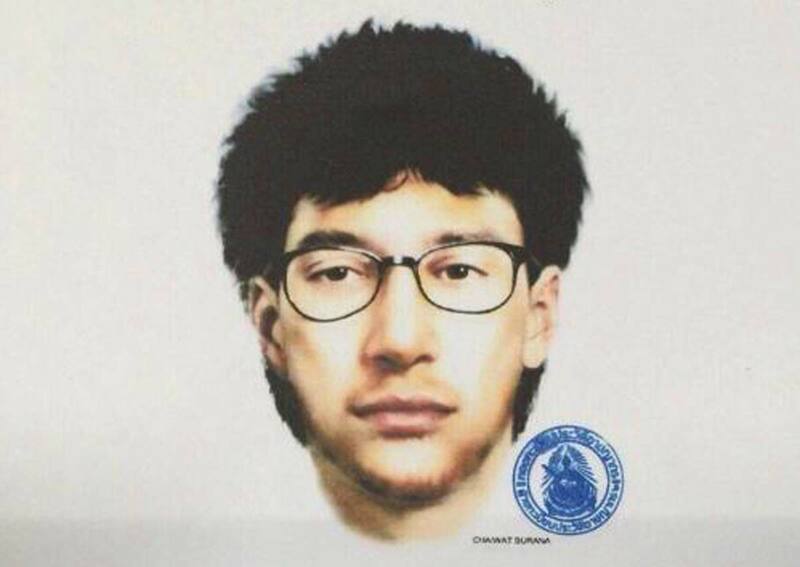 The remains of a fifth family victim, his sister-in-law, still have not been identified. 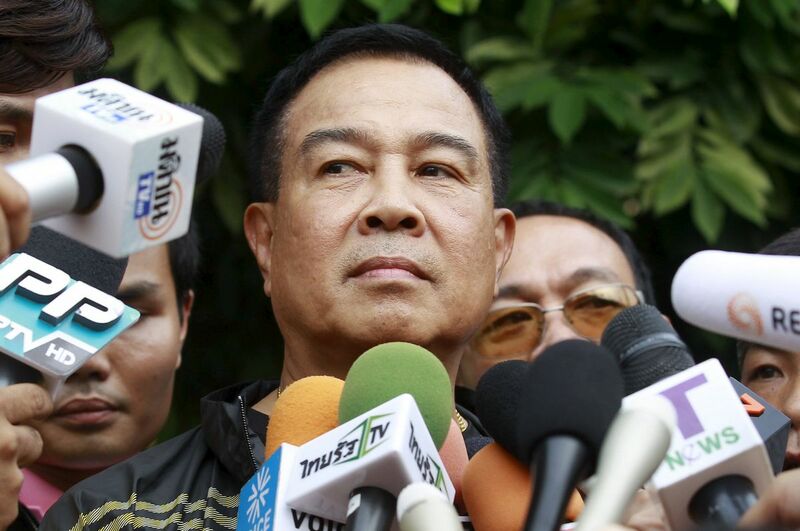 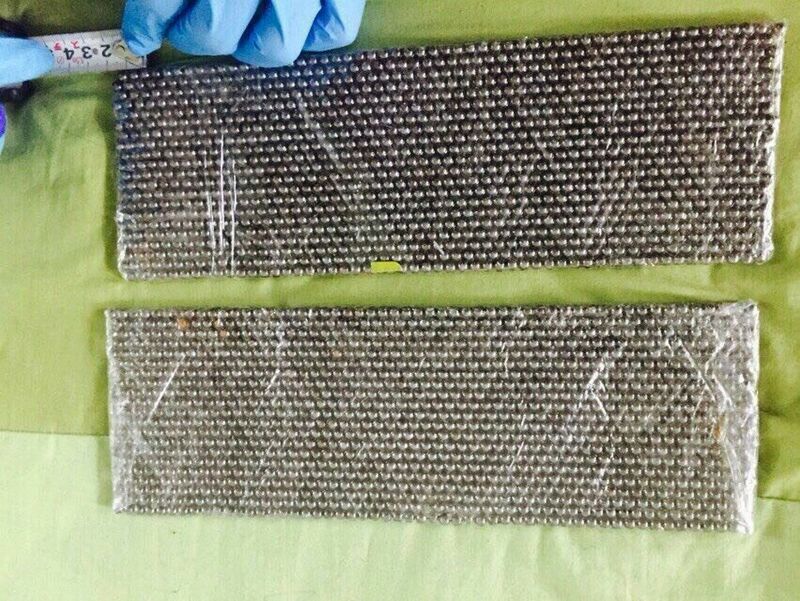 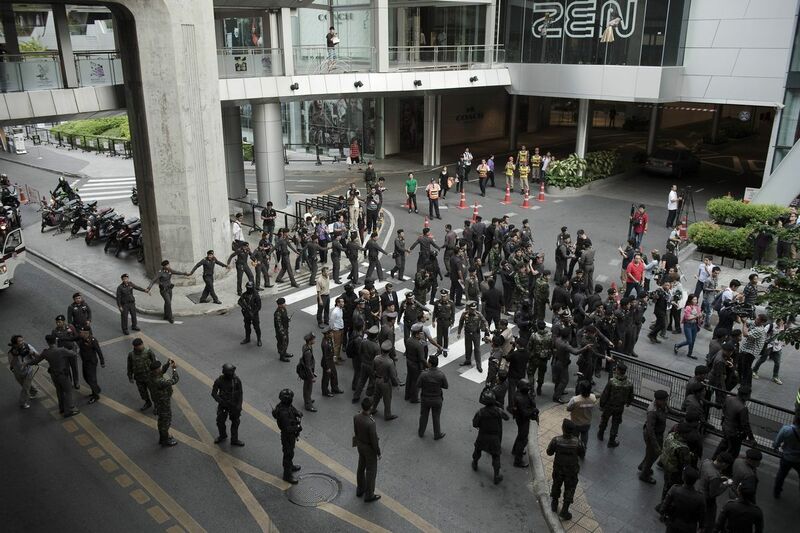 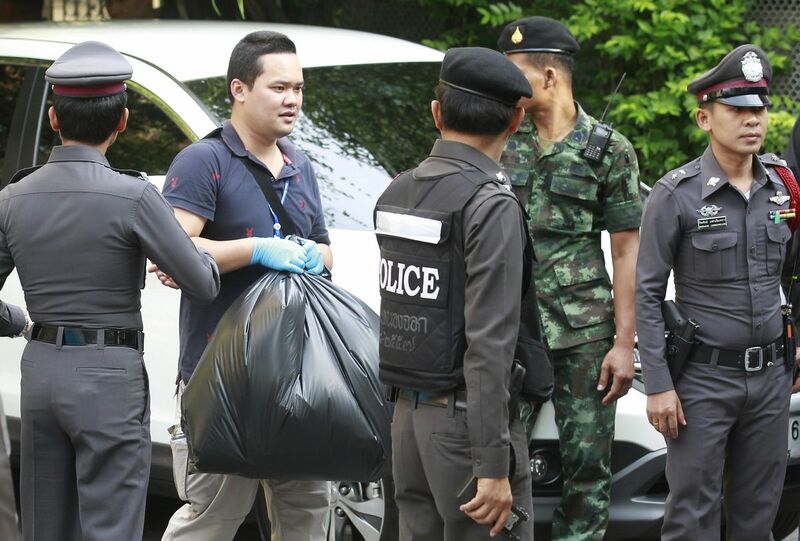 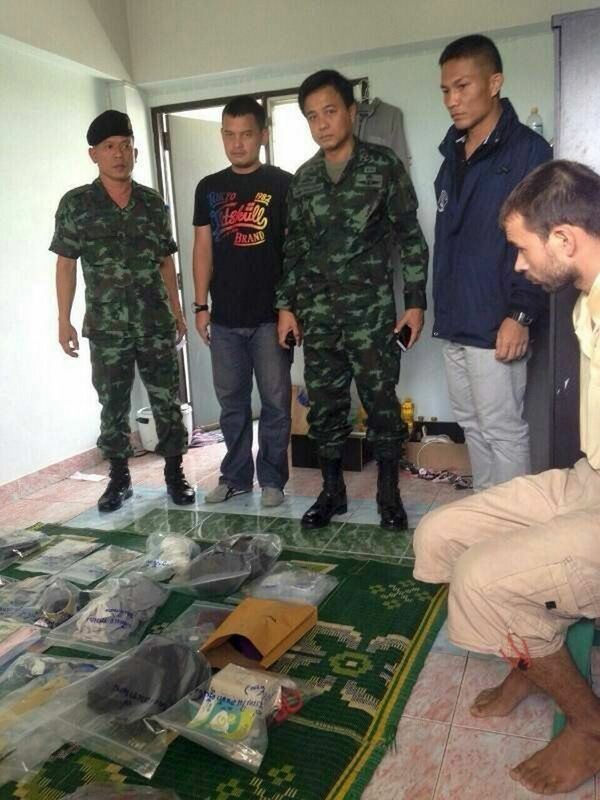 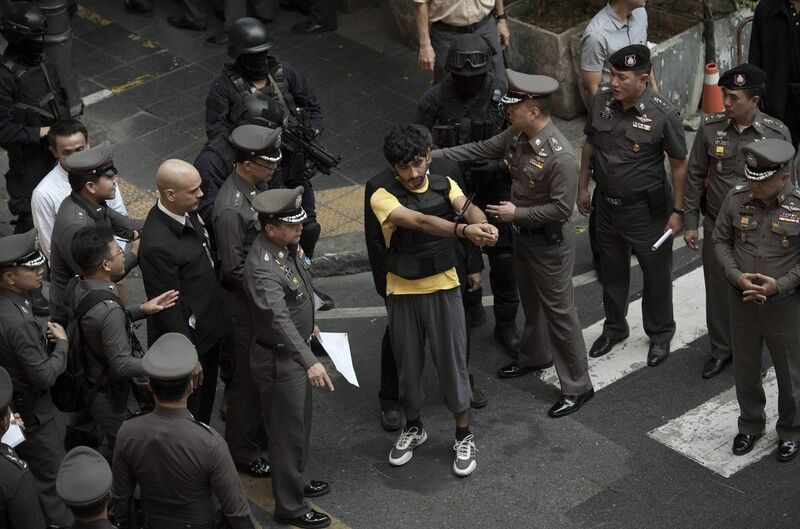 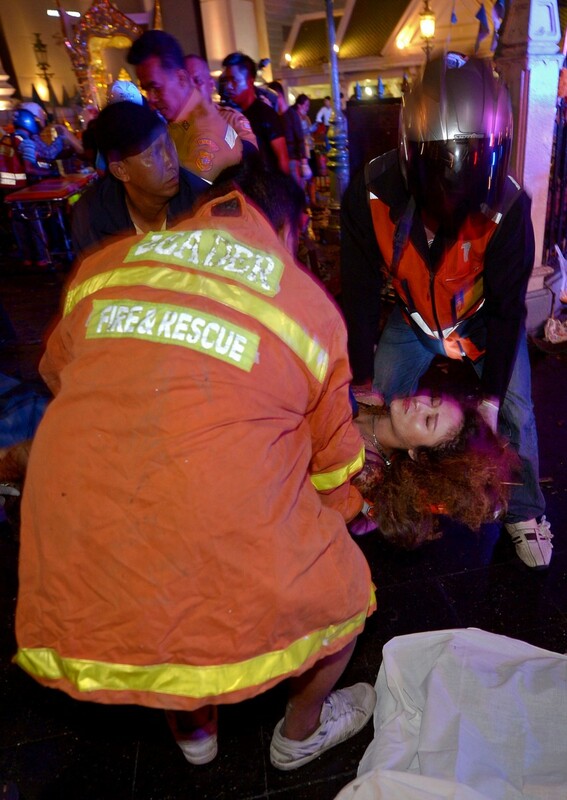 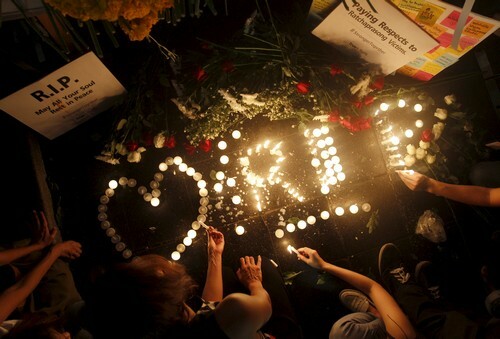 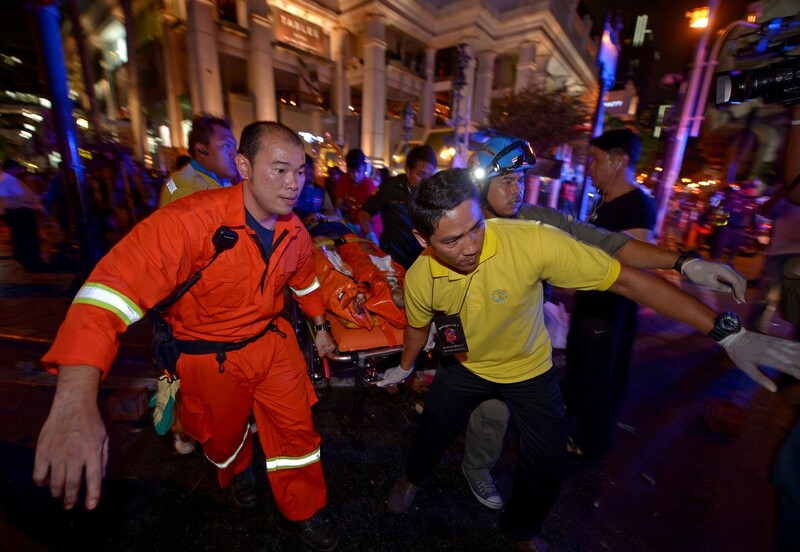 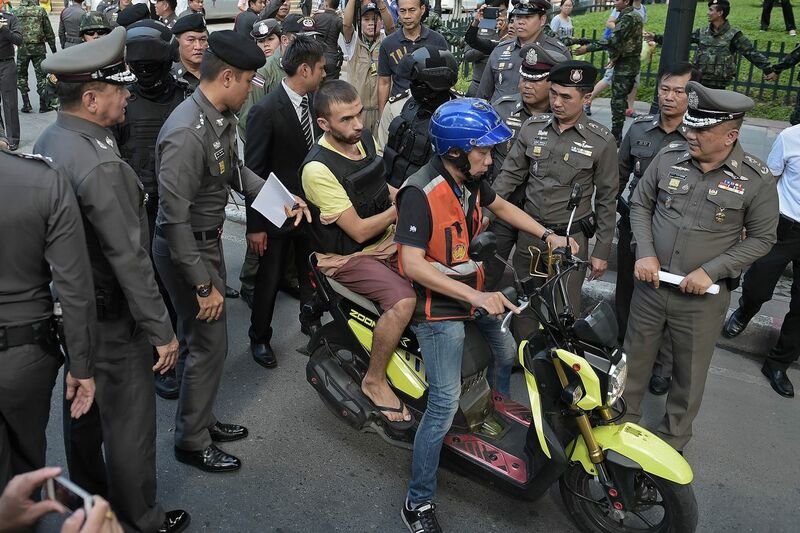 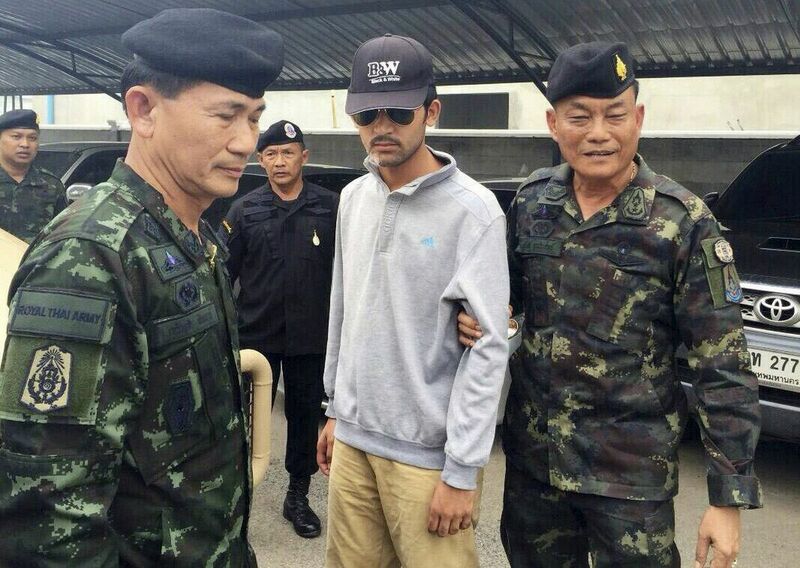 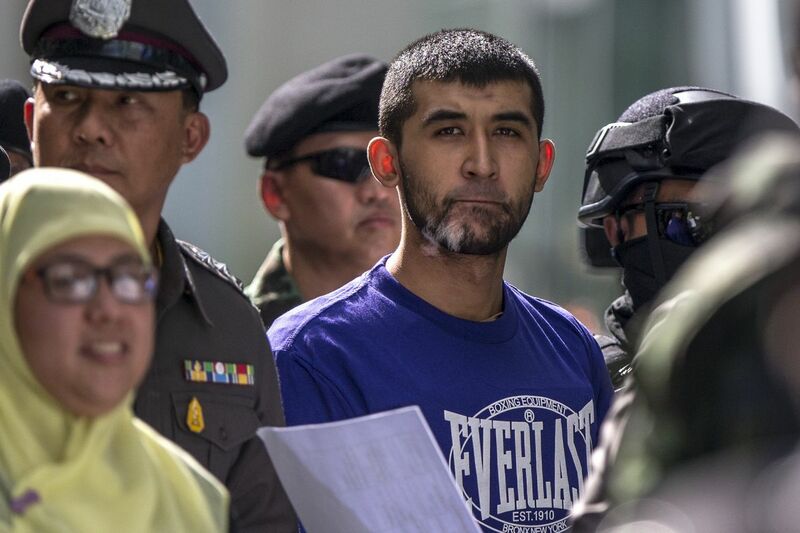 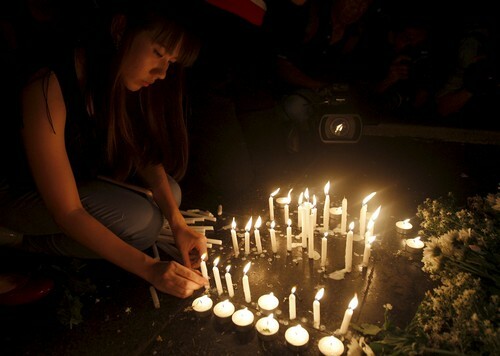 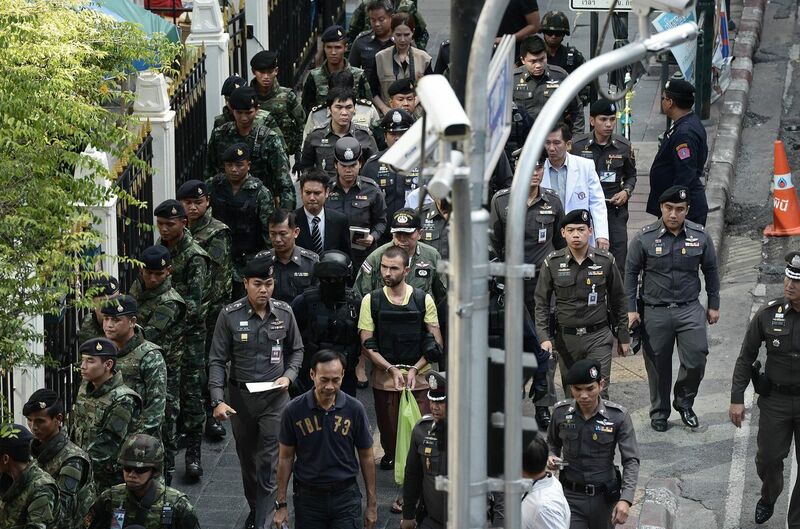 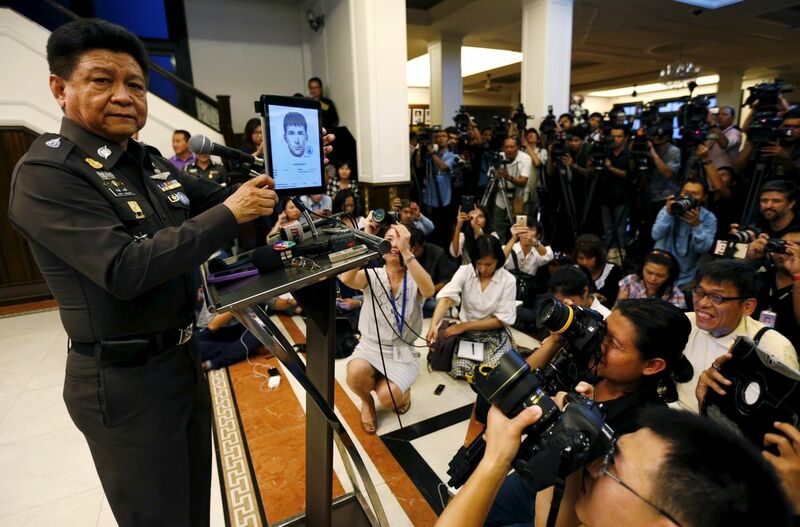 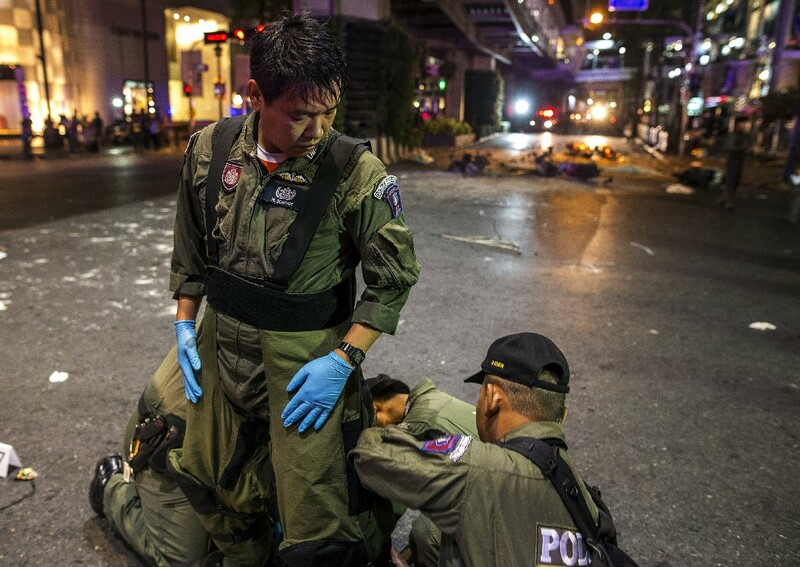 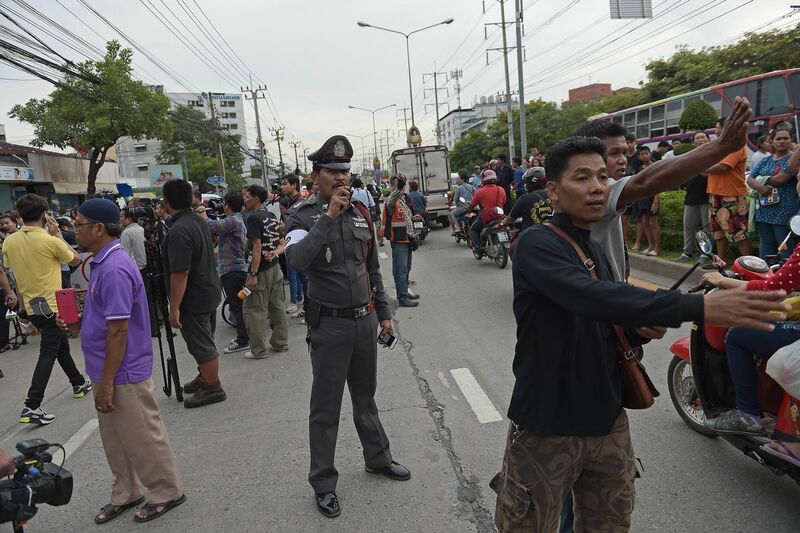 "This incident is a black mark in our lives," Neoh told the Malay Mail in Bangkok. 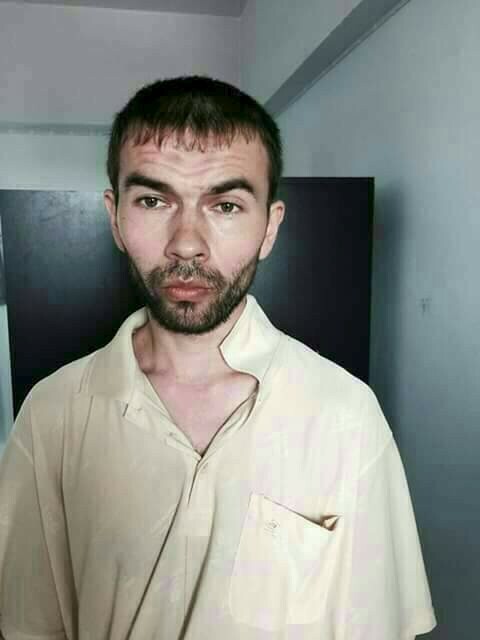 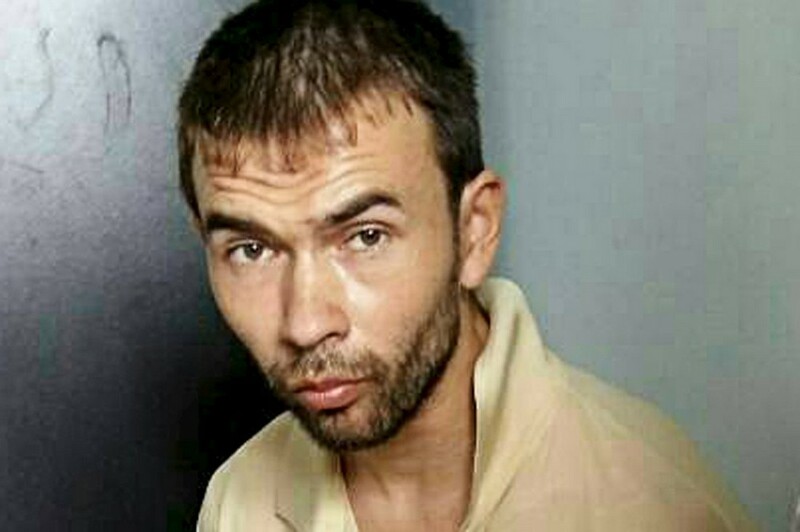 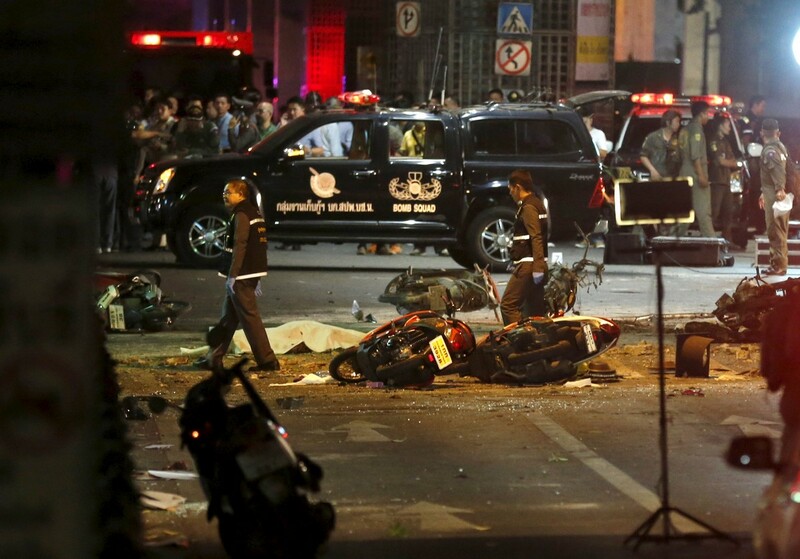 The bombing killed at least 20 people - including 11 foreigners, Neoh's family among them - early Monday evening and wounded more than 100 others. 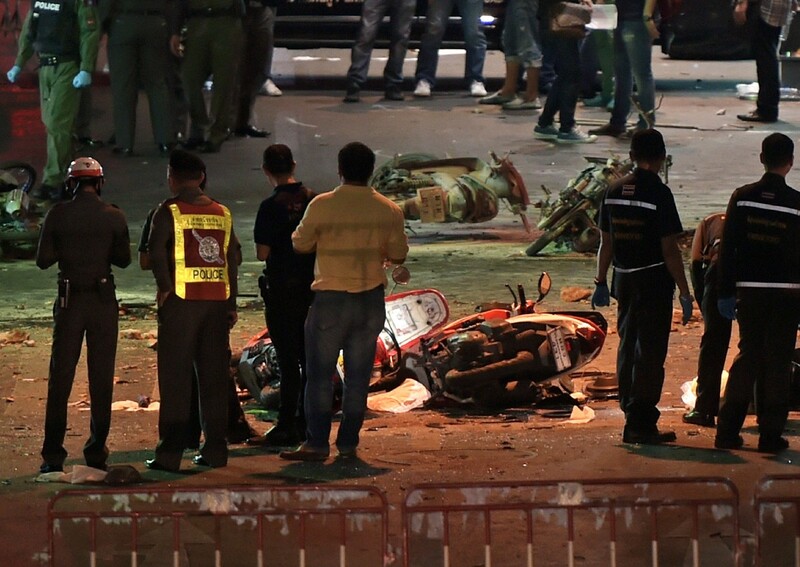 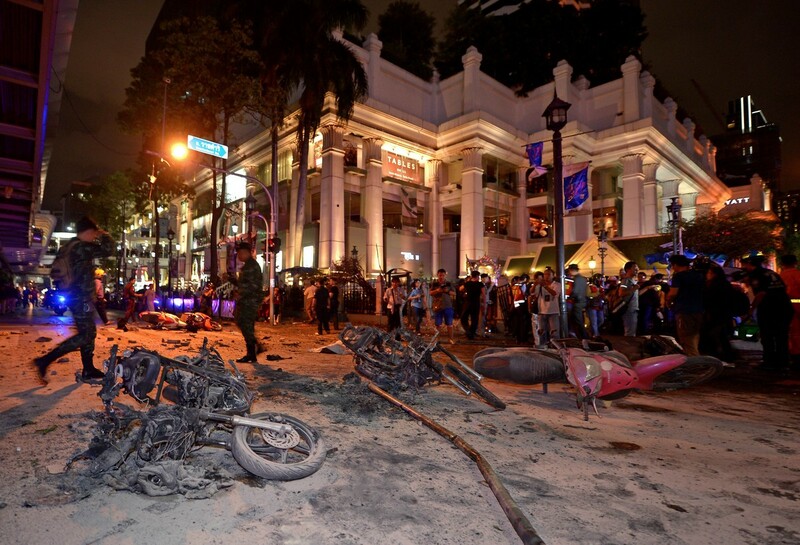 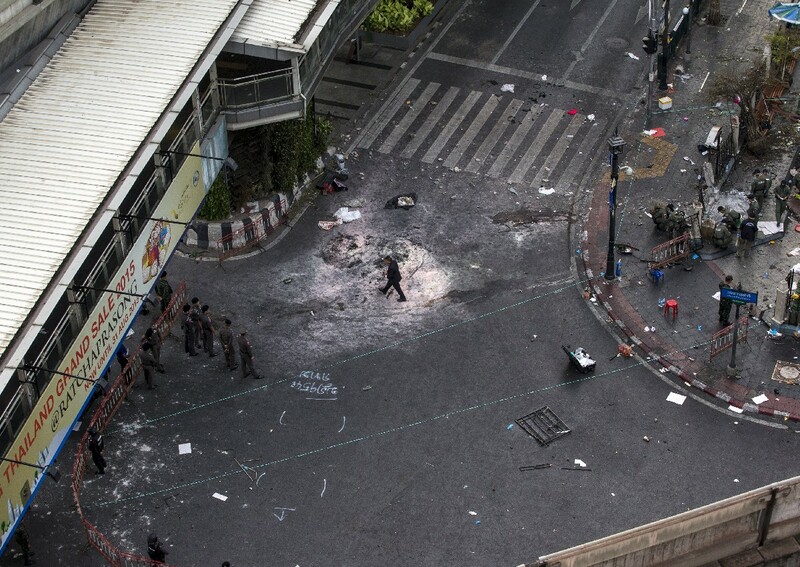 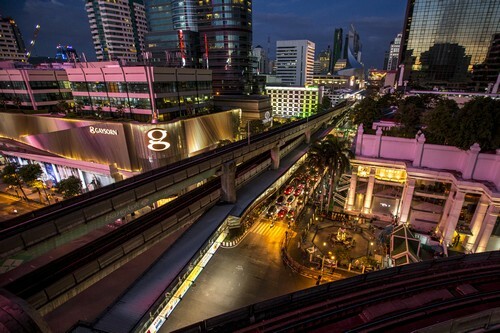 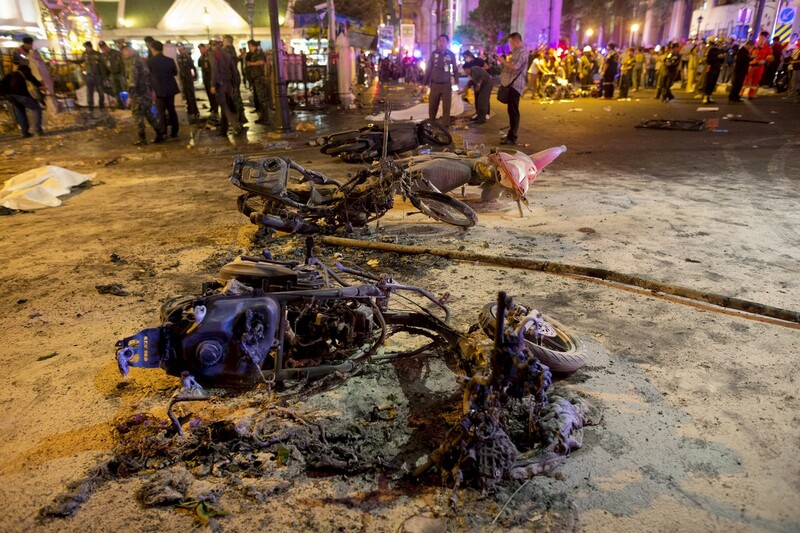 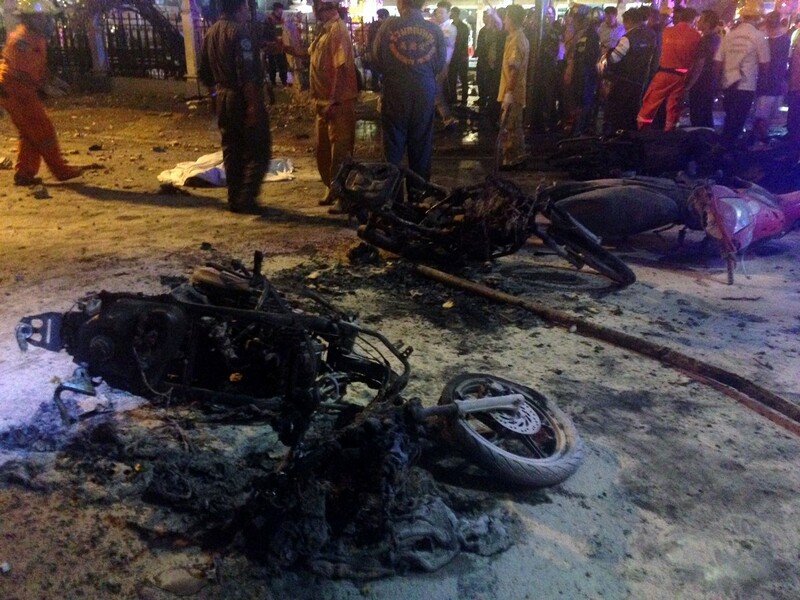 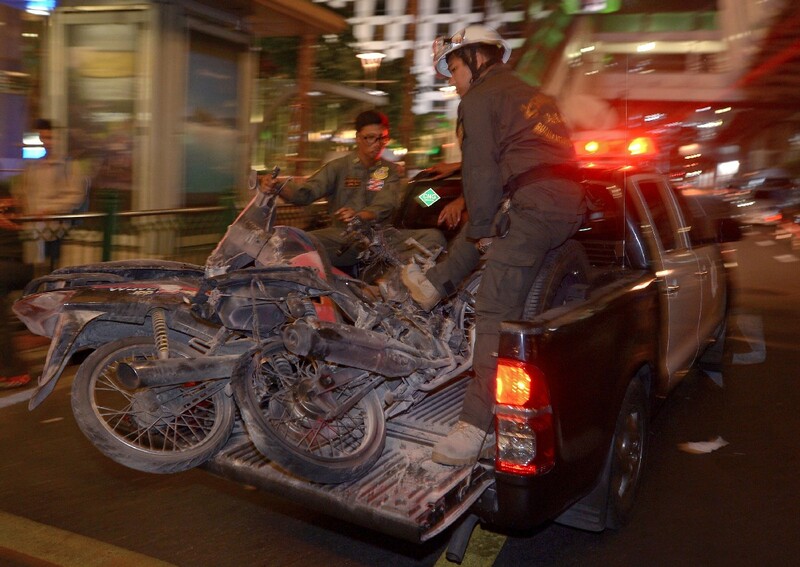 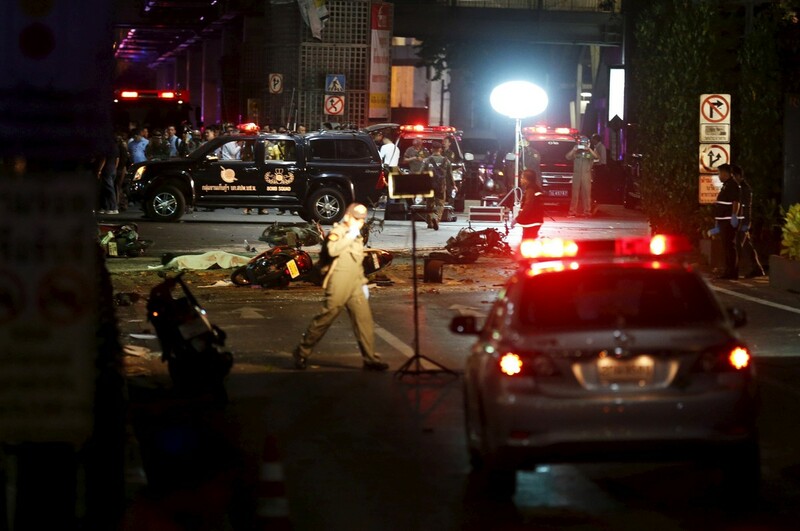 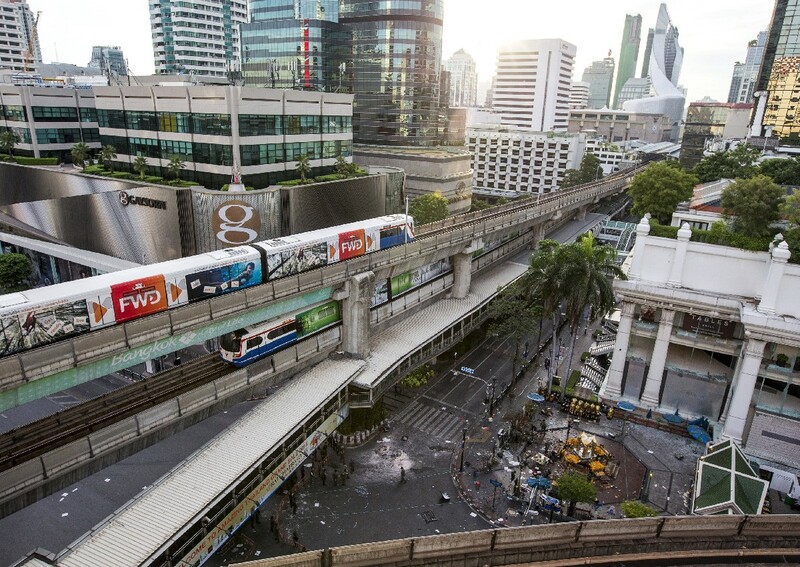 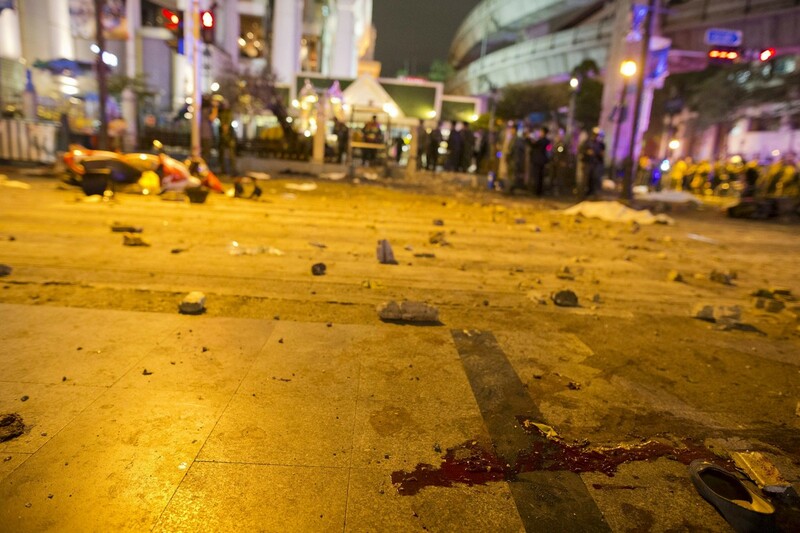 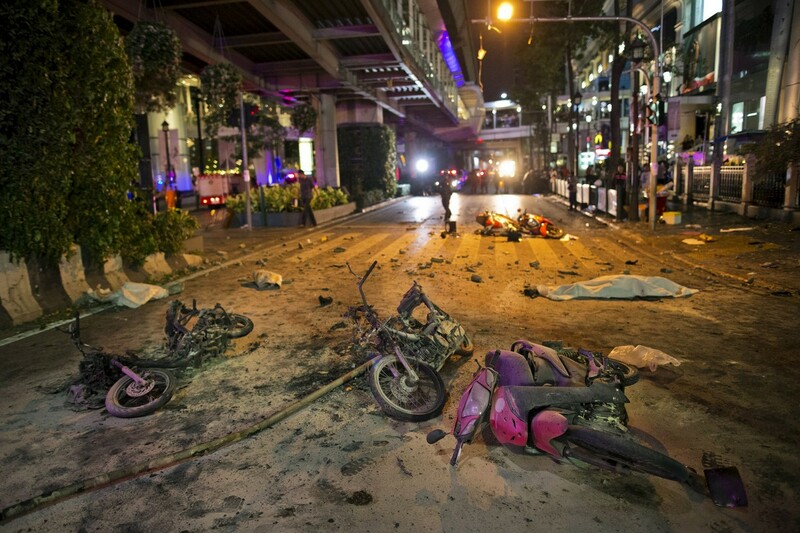 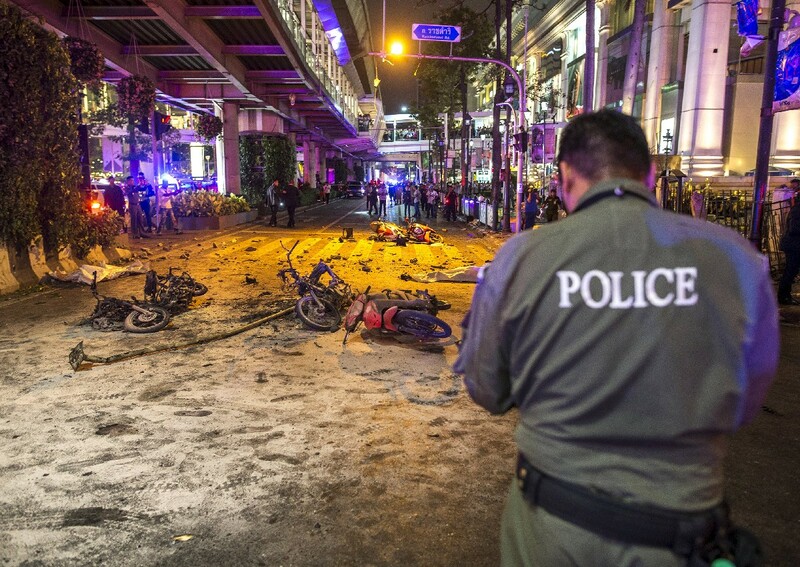 Bodies were peppered with ball bearings and motorcycles incinerated in the blast at one of Bangkok's busiest intersections. 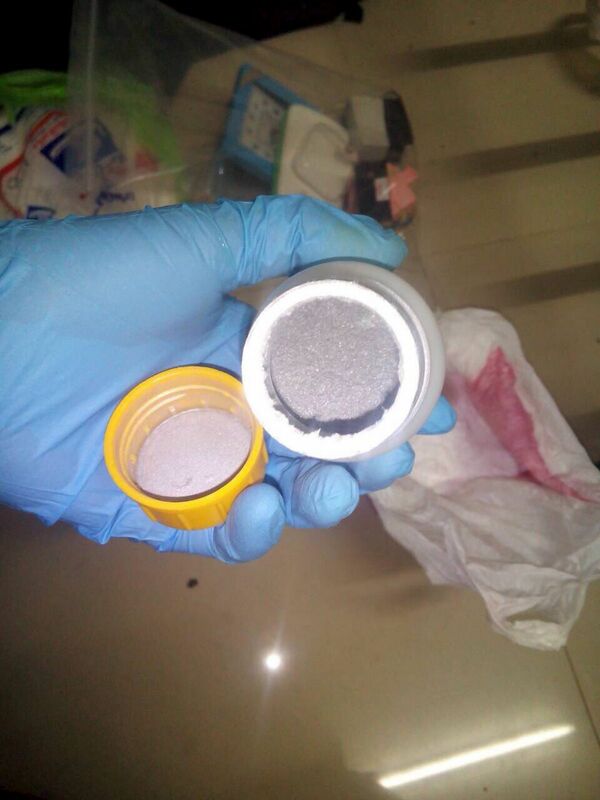 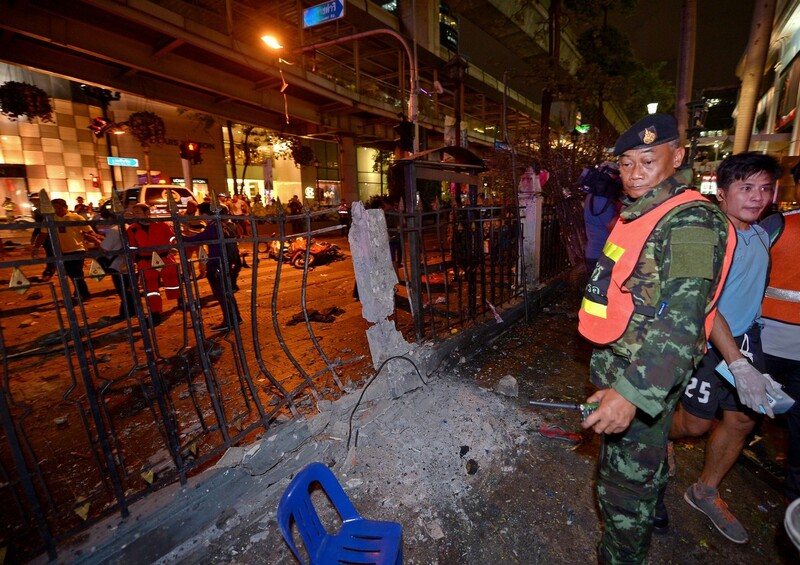 No one has yet claimed responsibility for the blast. 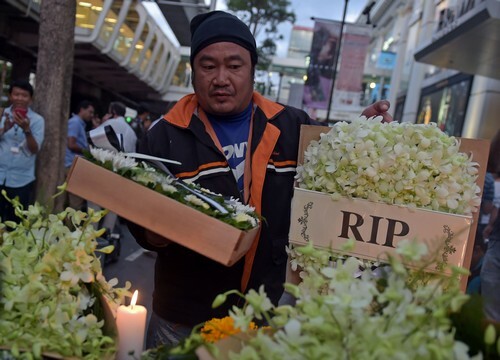 A photograph taken earlier in the holiday and published in Malaysian media shows Neoh, a cake seller from the Malaysian state of Penang, and his family posing happily at a restaurant in Bangkok, their table laden with Thai dishes and glasses of beer. 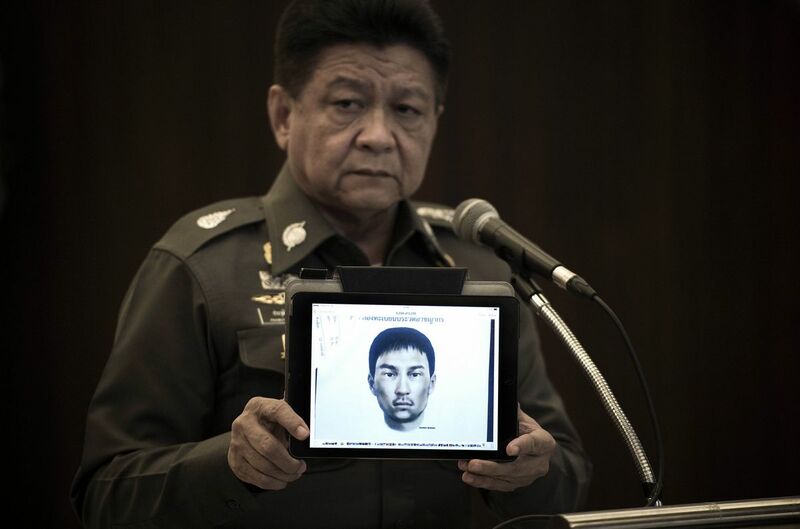 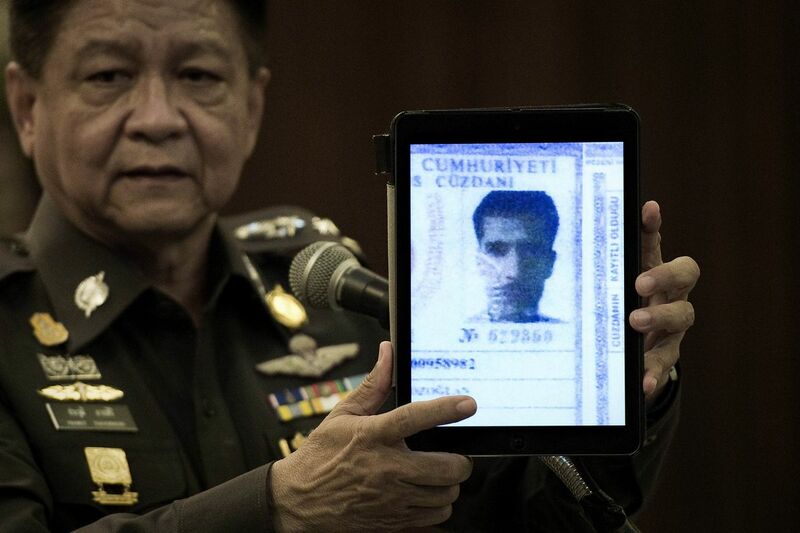 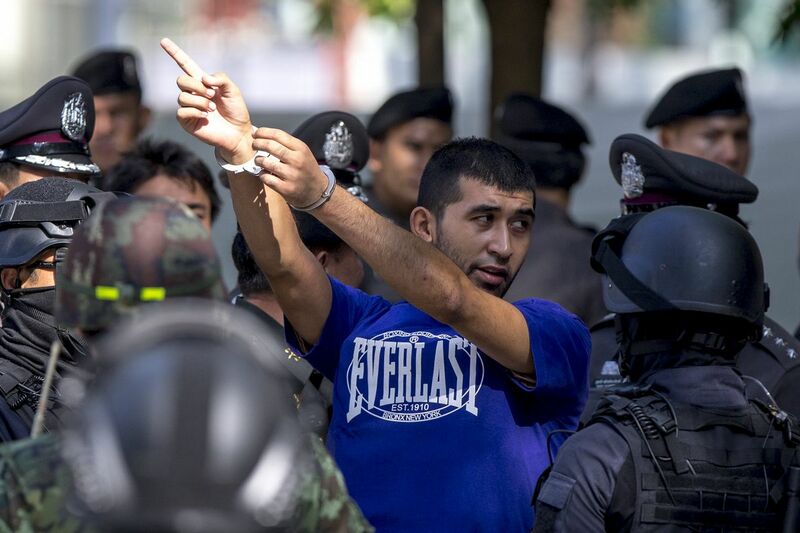 Their smiling Thai driver is pictured in the same photo making the two-fingered "peace" sign. 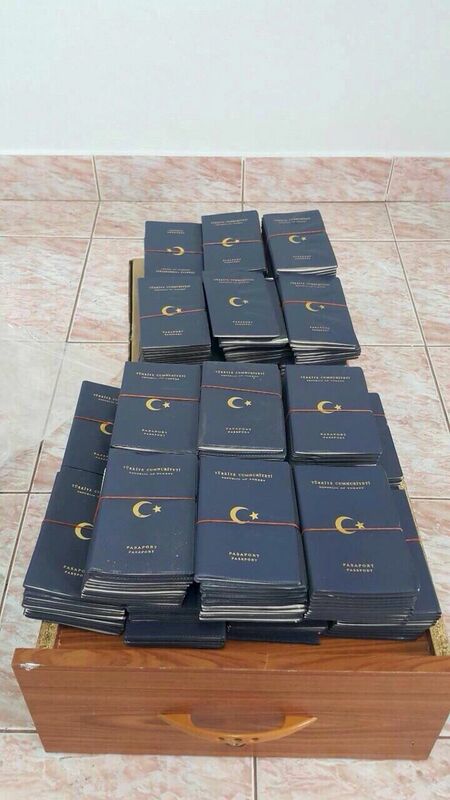 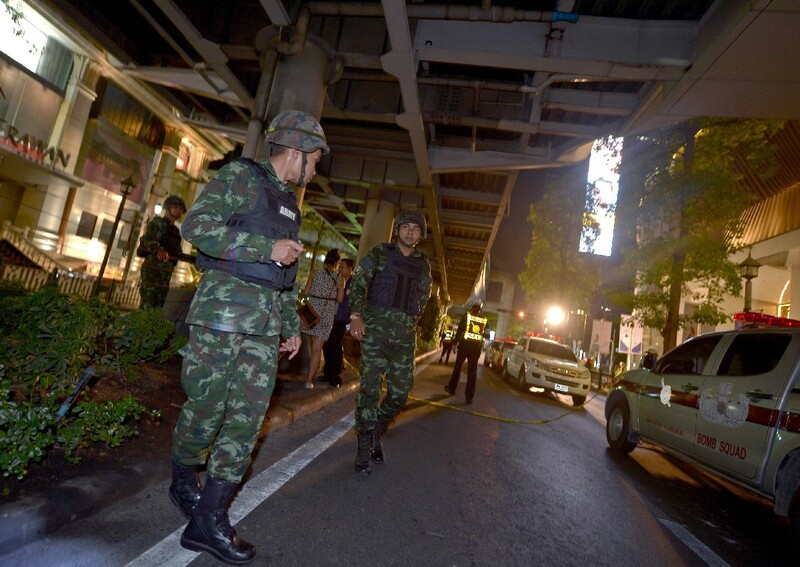 The ethnic Chinese family had reportedly left Penang by train on Saturday, travelling north through Thailand on a trip that was to culminate in a few days in the capital. 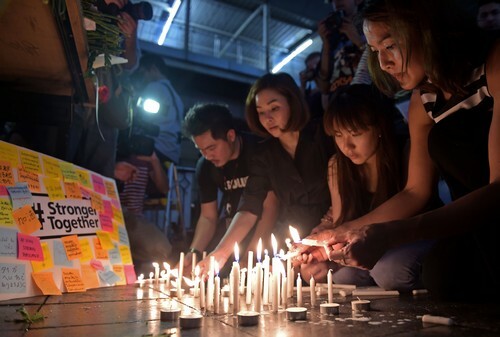 Neoh's 20-year-old son Neoh Jai Jun, a student at university in Taiwan, had returned home to join them on the holiday, The Star reported. 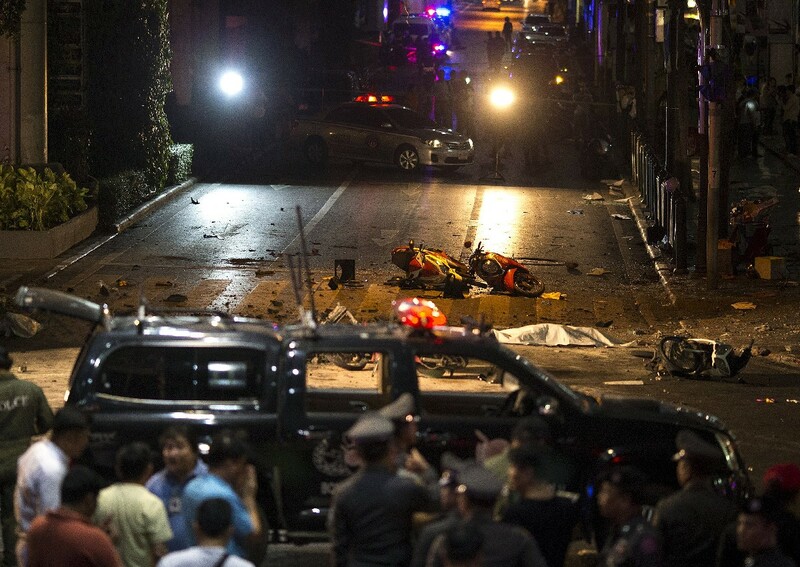 He died in the explosion, along with Neoh's wife Lim Saw Gek, his son-in-law Lee Tze Siang, and granddaughter Lee Jing Xuan. 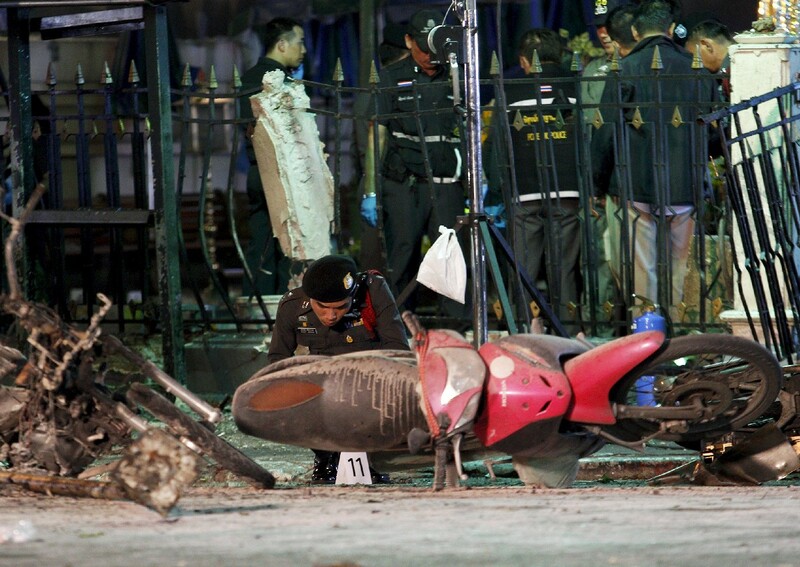 Pictured in pink in the family photograph, the four-year-old is the youngest confirmed victim of the explosion so far. 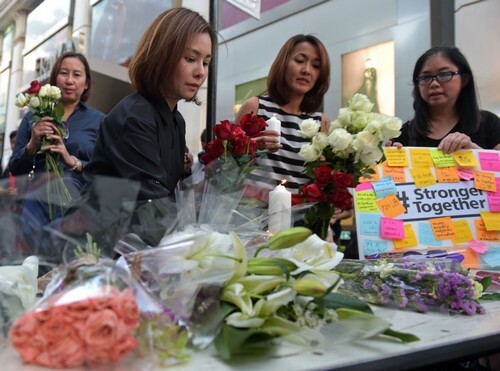 The body of Neoh's sister-in-law Lim Soo See is yet to be identified, reports said. 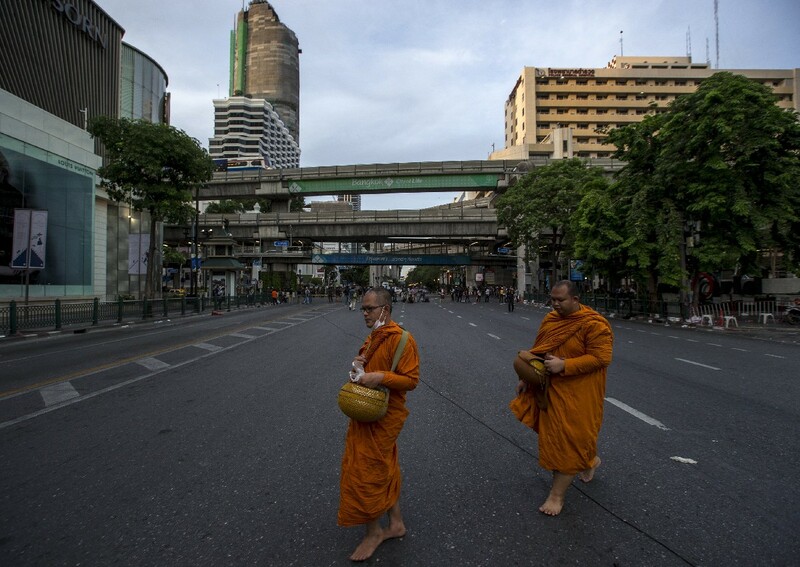 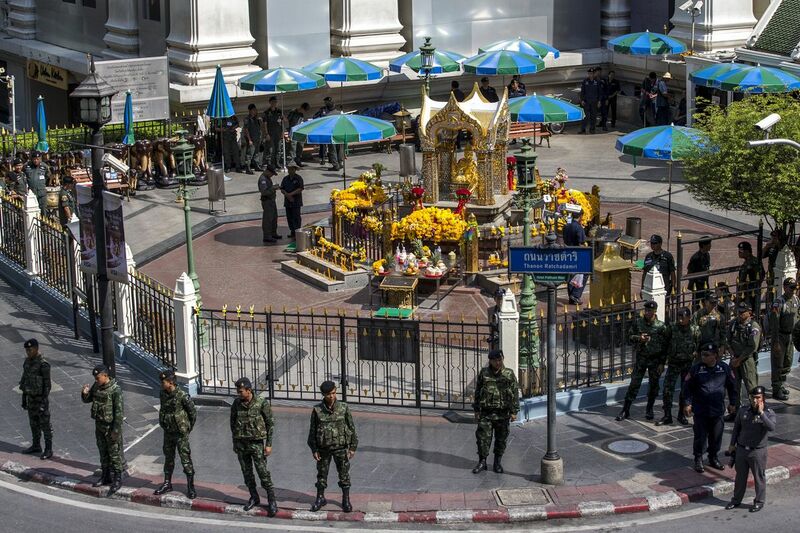 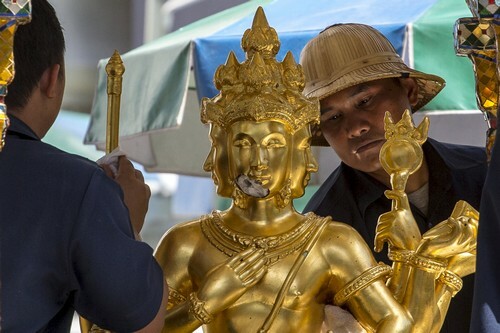 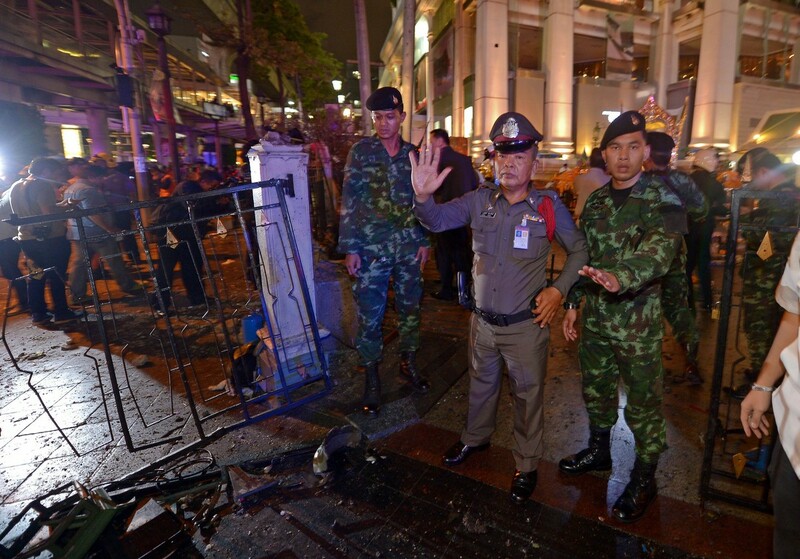 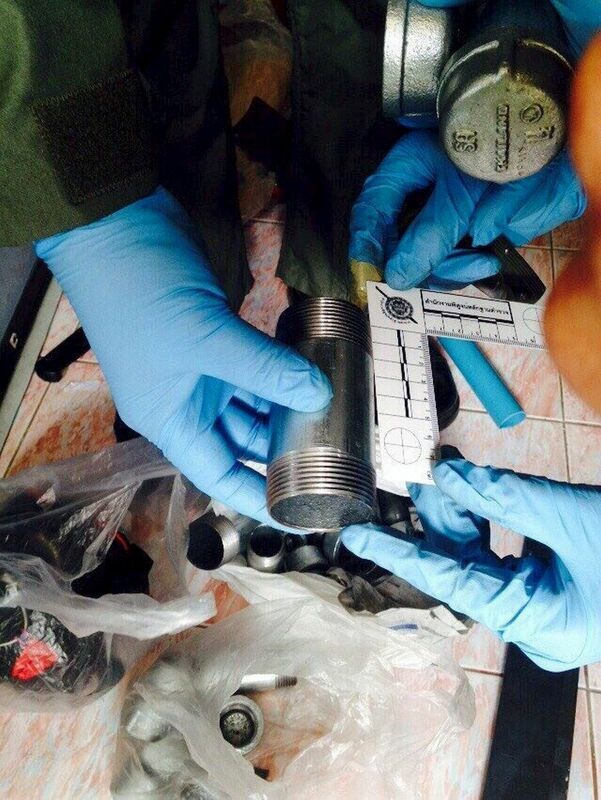 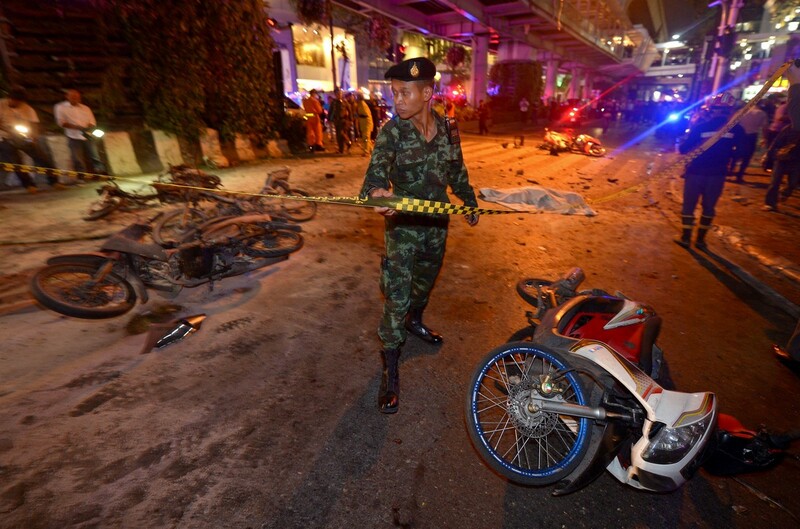 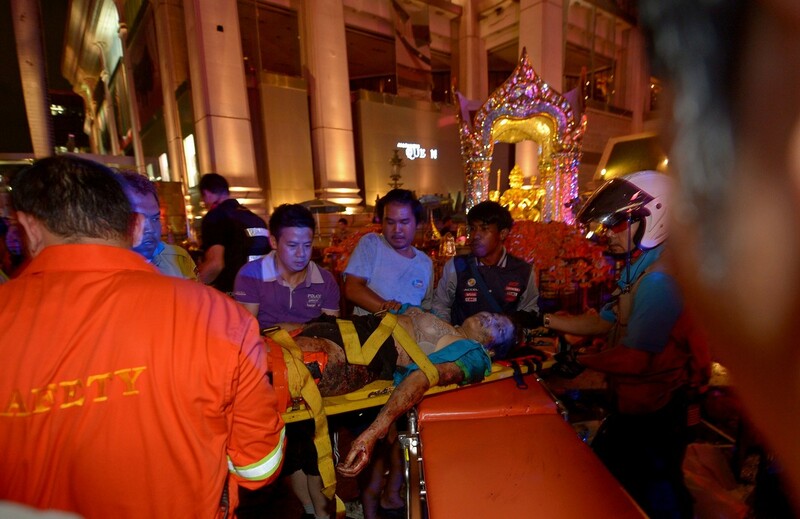 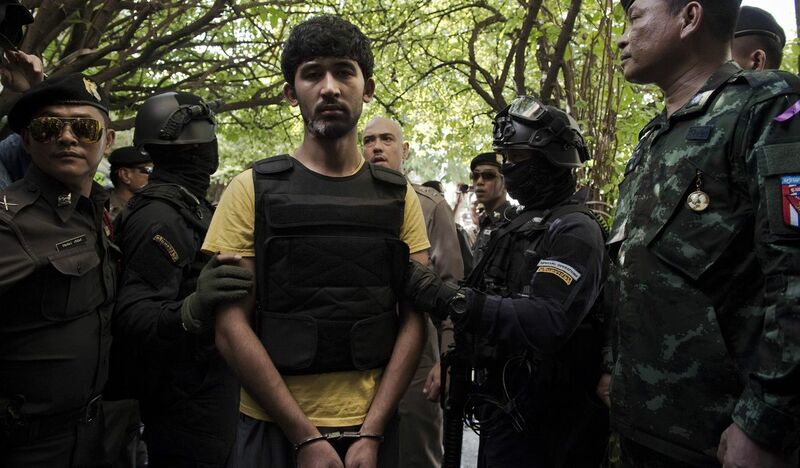 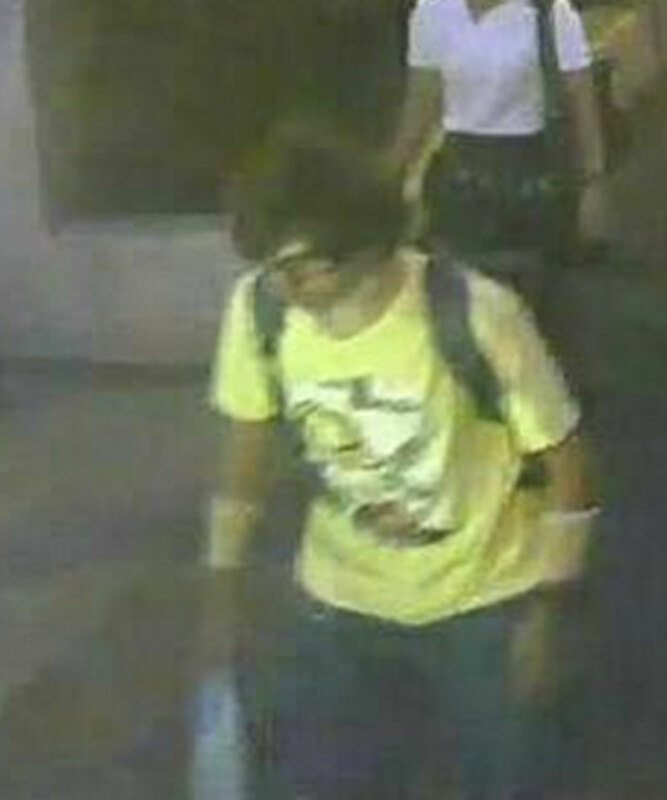 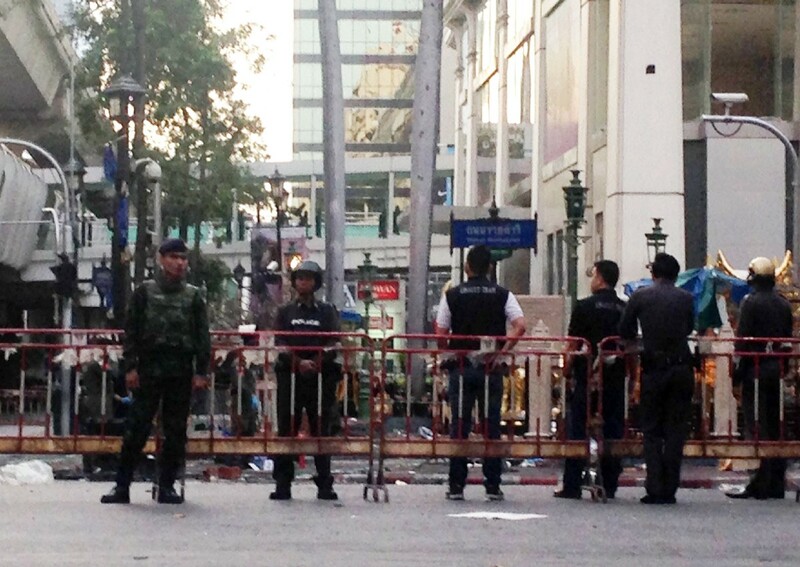 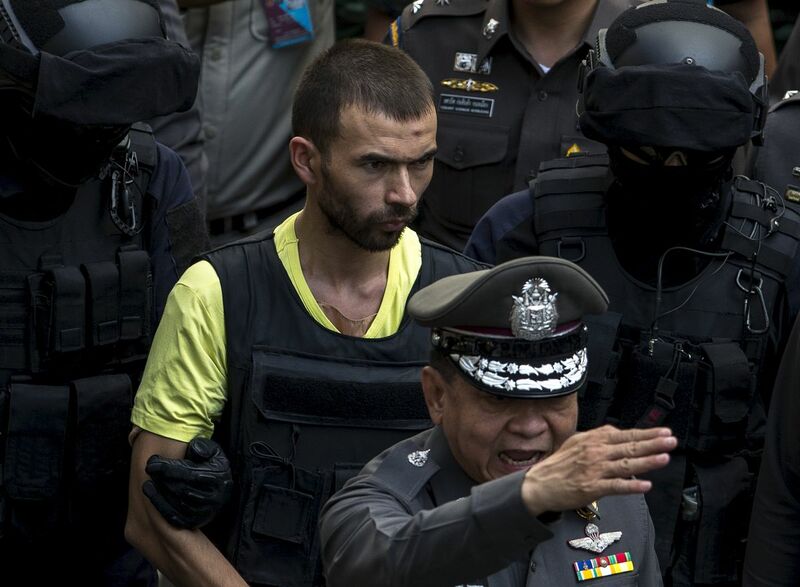 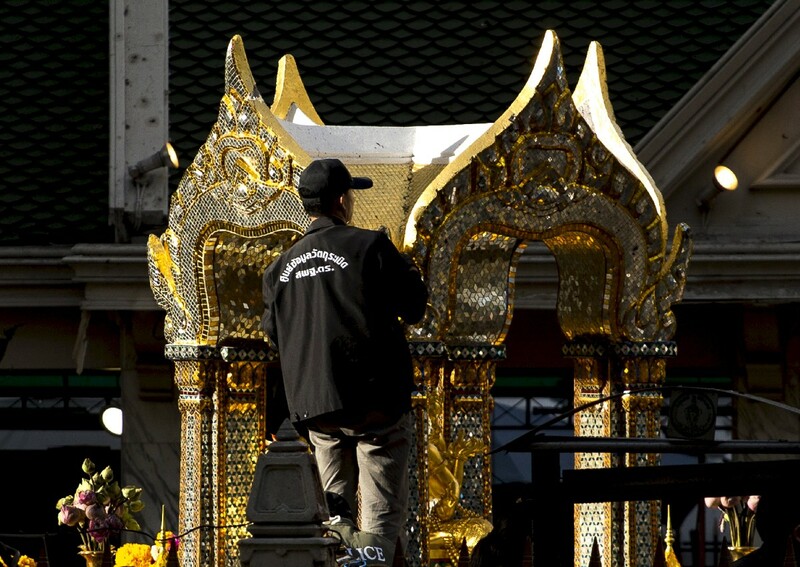 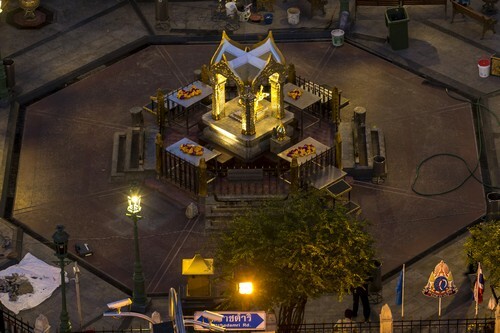 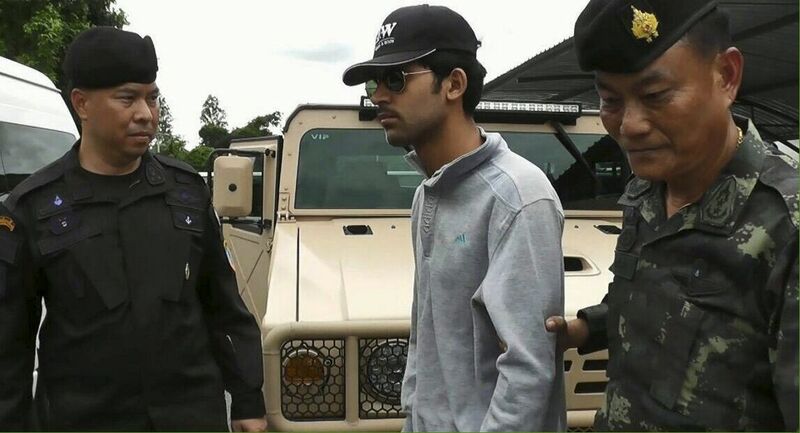 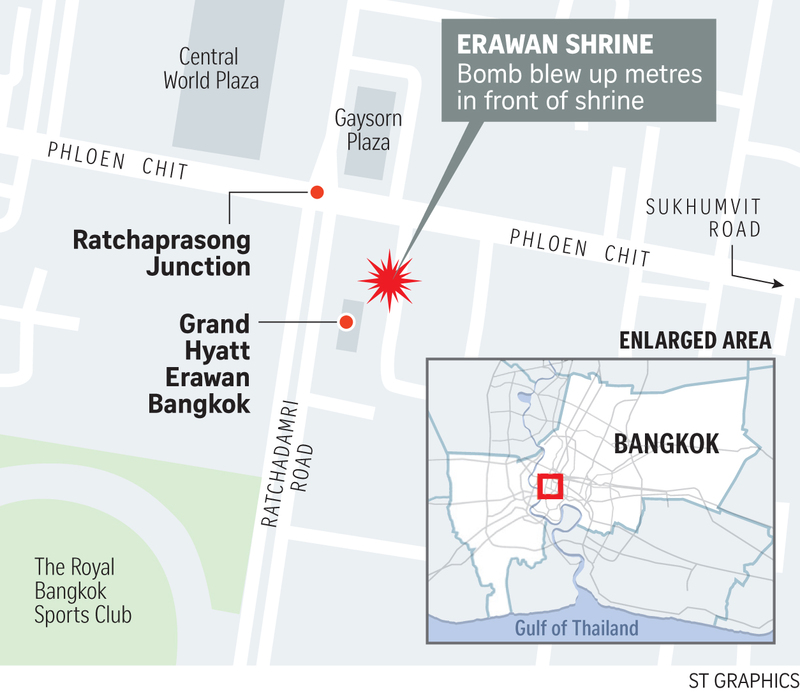 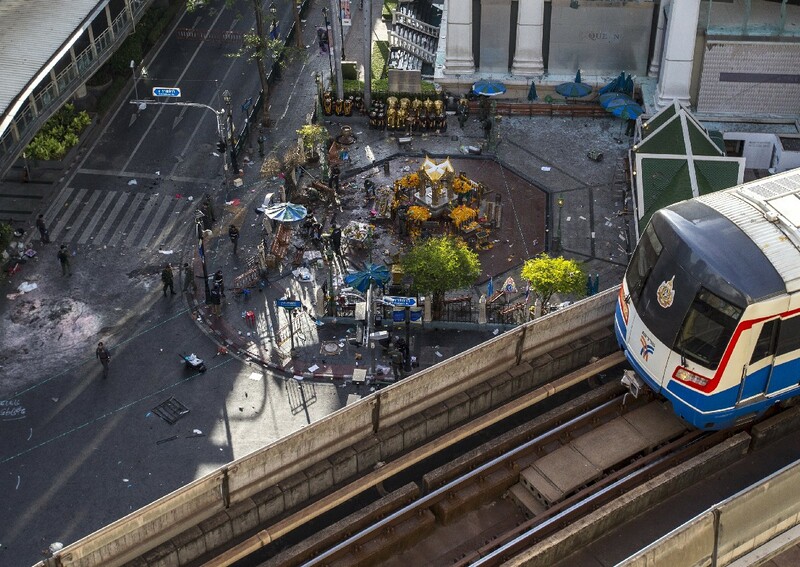 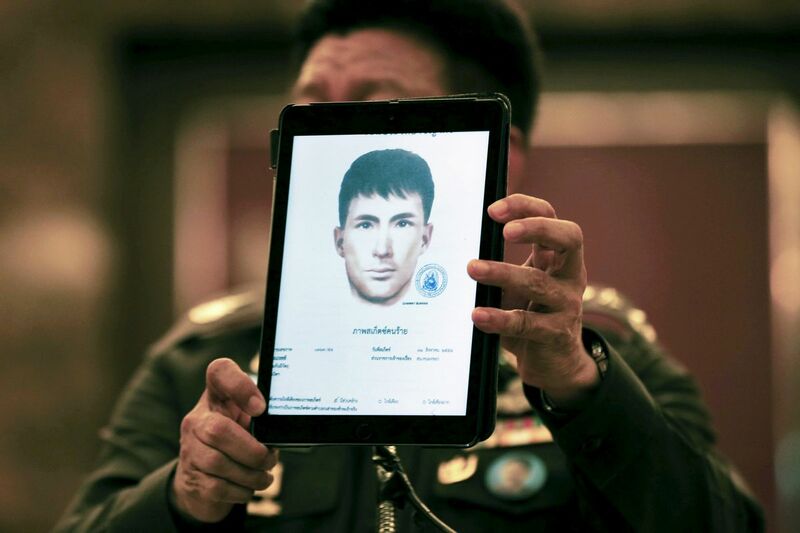 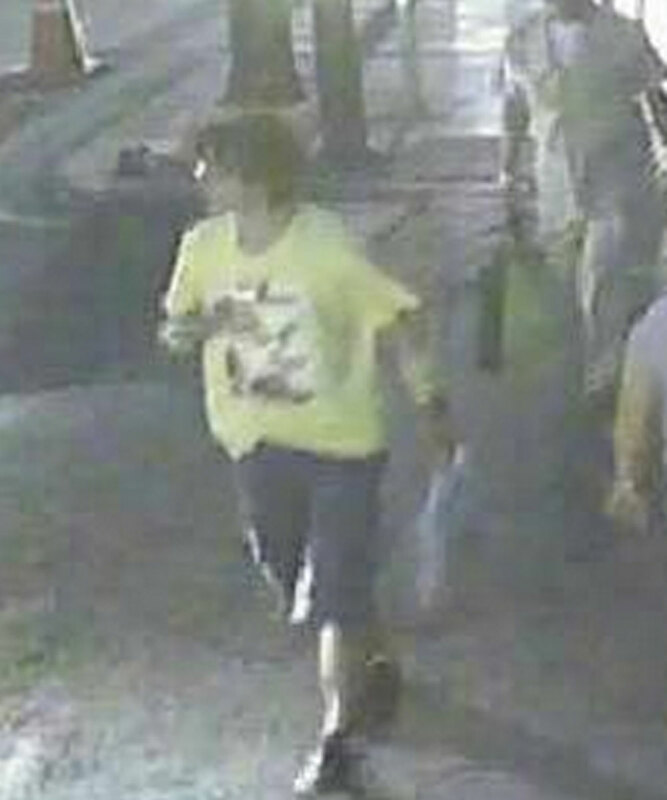 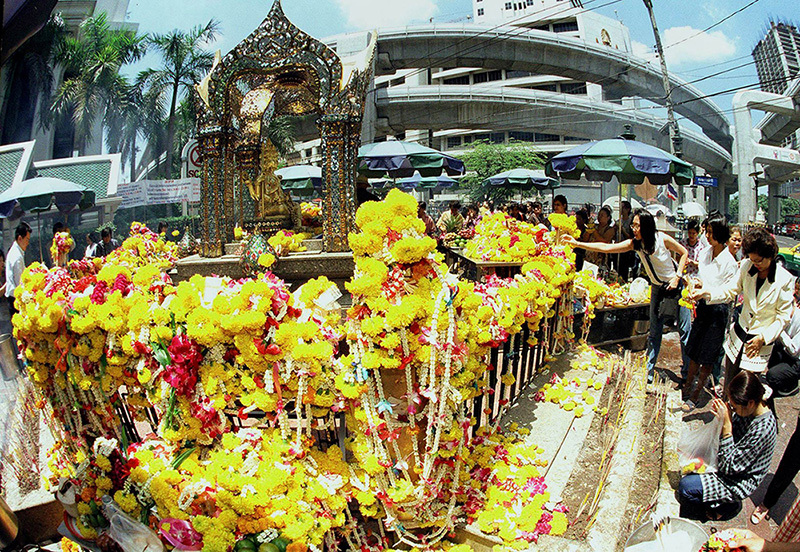 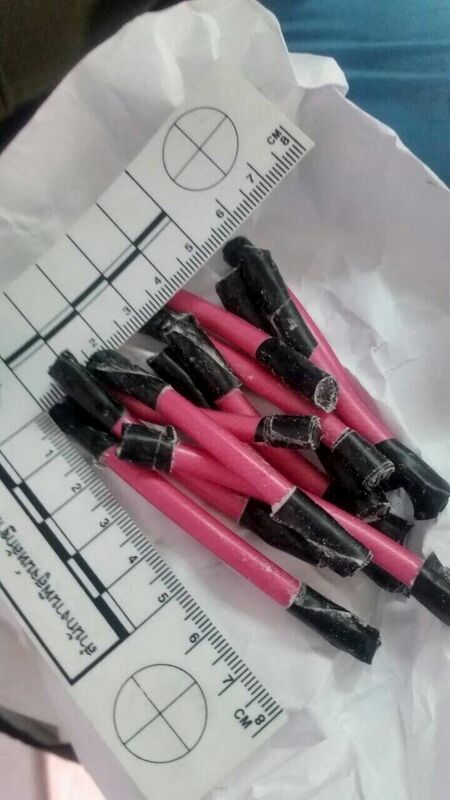 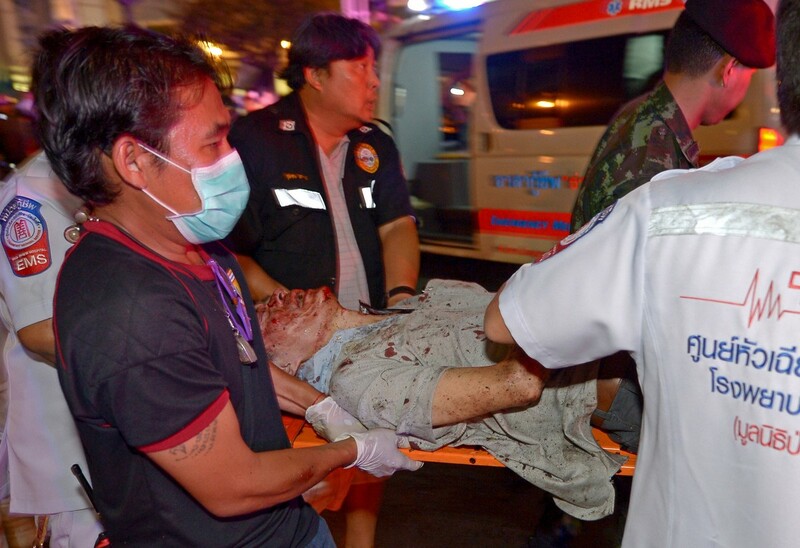 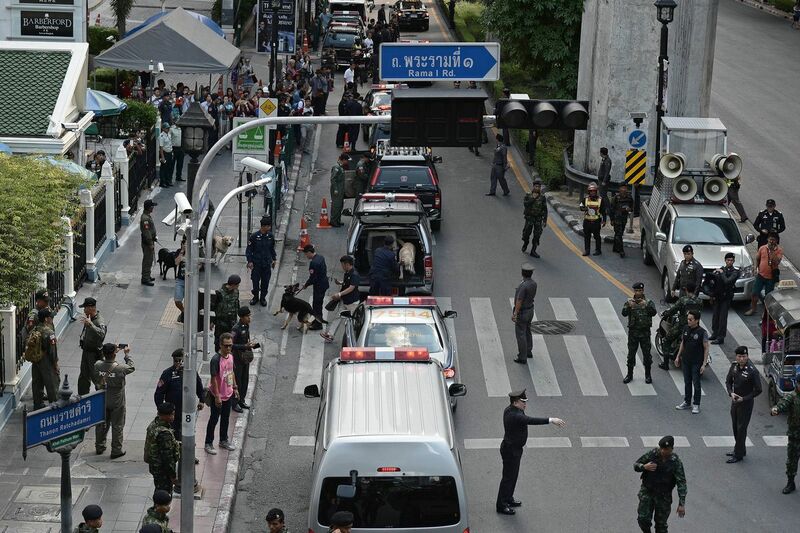 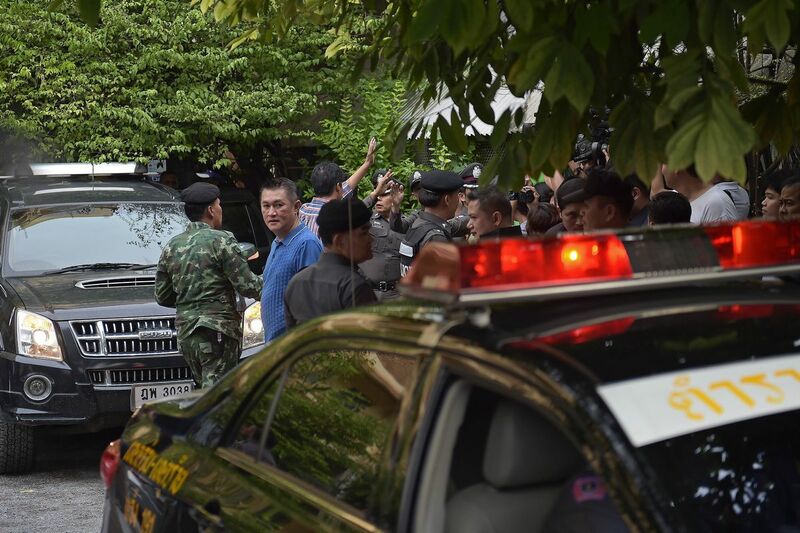 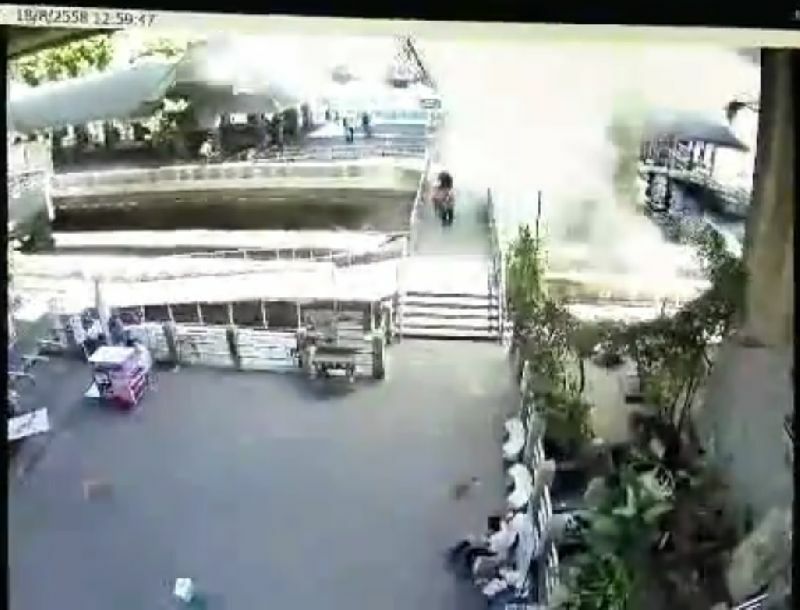 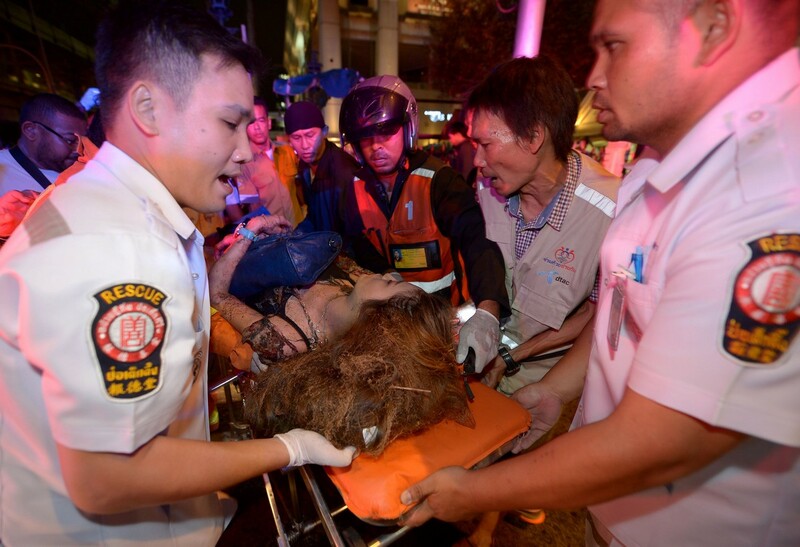 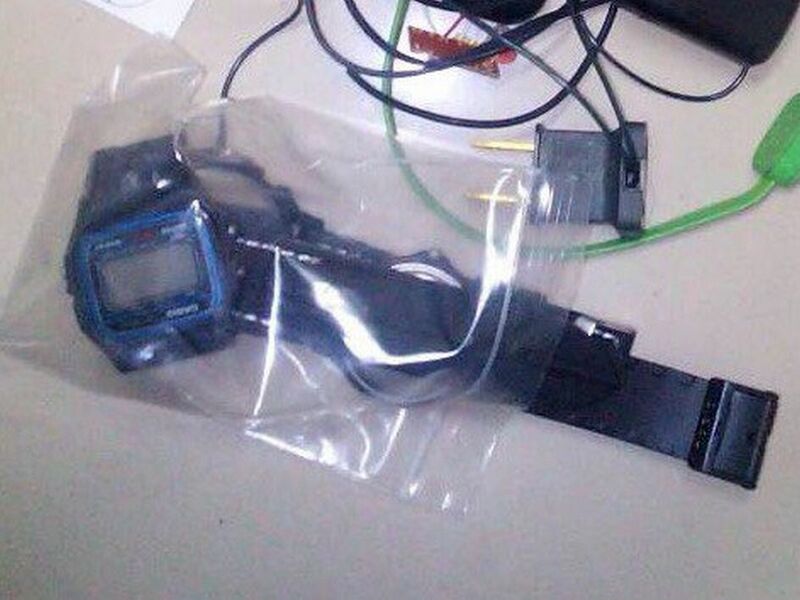 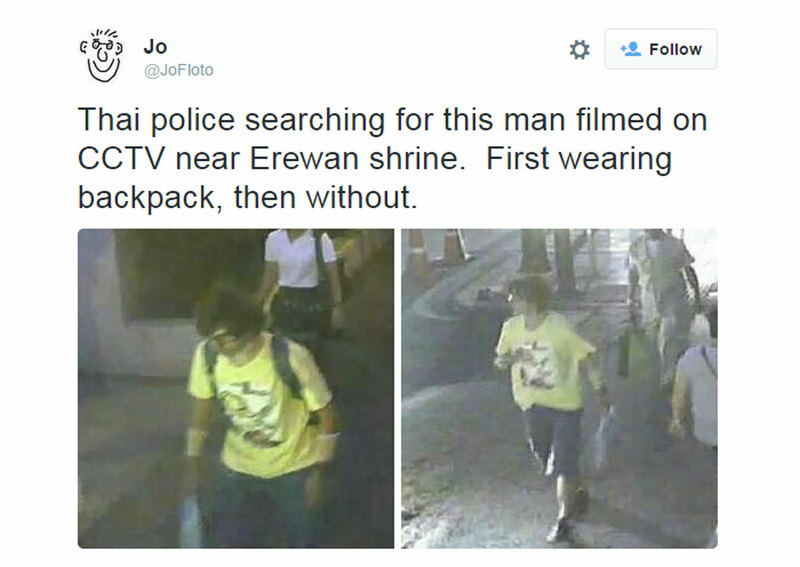 Thai authorities have said they are hunting a man shown on security footage strolling into the packed shrine and leaving a backpack before the explosion occurred. 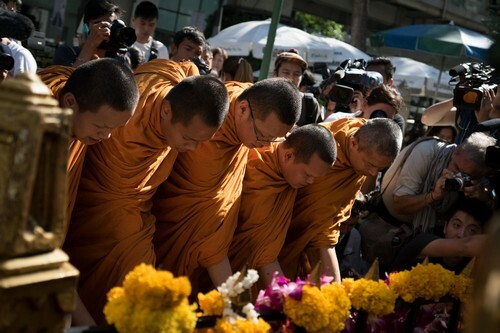 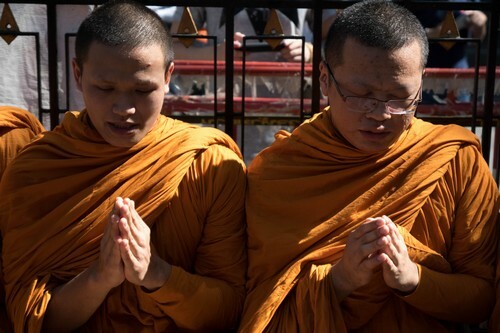 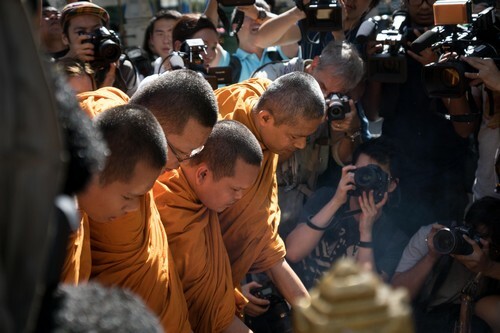 The shrine reopened on Wednesday with Buddhist monks leading prayers. 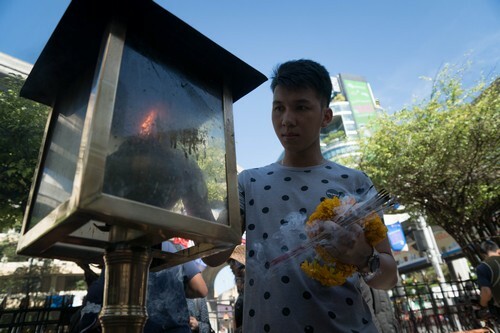 An unidentified member of Neoh's family laid bundles of clothes at the shrine to represent their loved ones, a monk said. 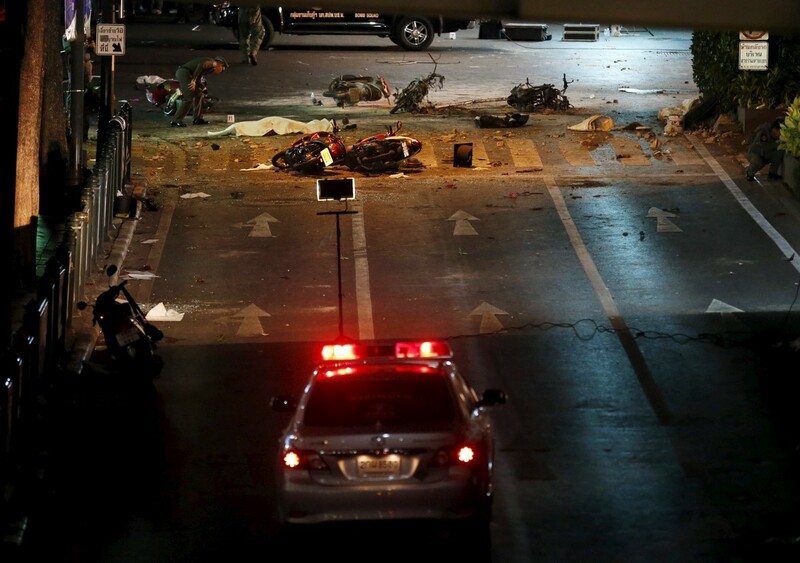 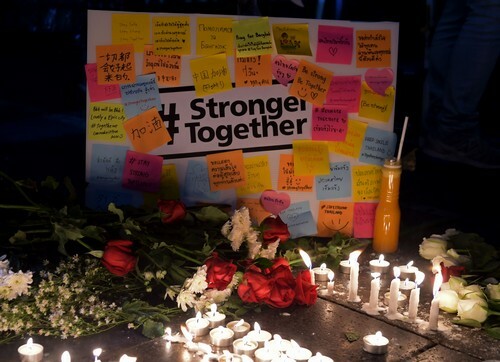 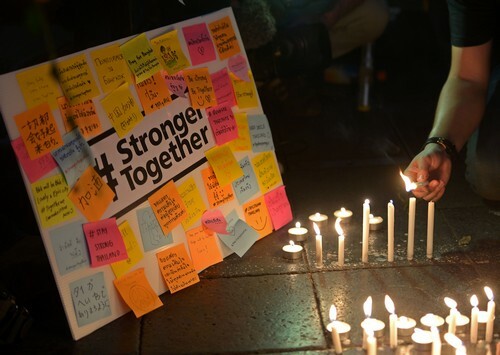 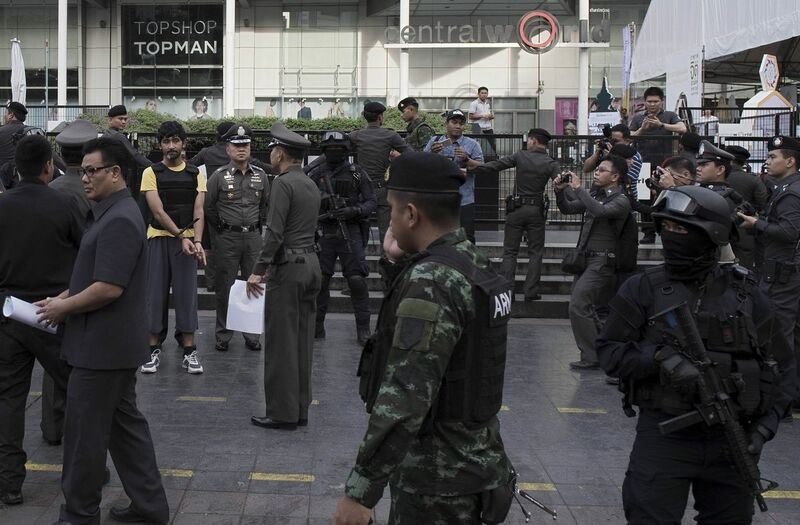 Malaysian Prime Minister Najib Razak on Tuesday condemned the attack as a "heinous act", and said Thai Prime Minister Prayut Chan-o-cha had assured him the perpetrators would be punished. 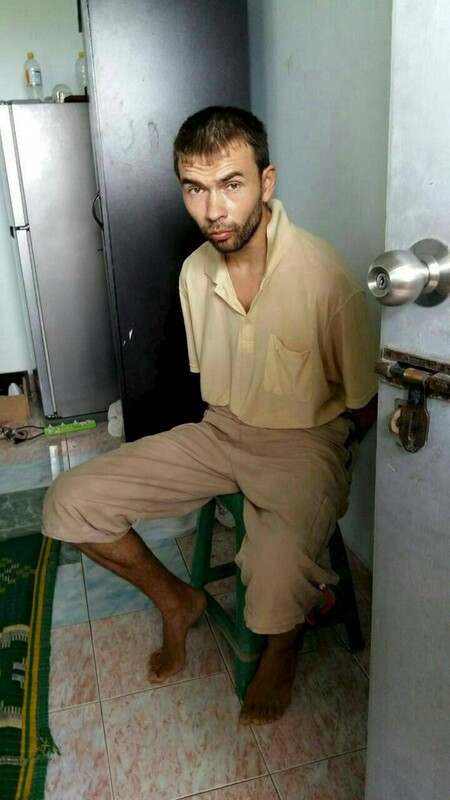 Neoh, however, told the Malay Mail he is still in a state of disbelief. 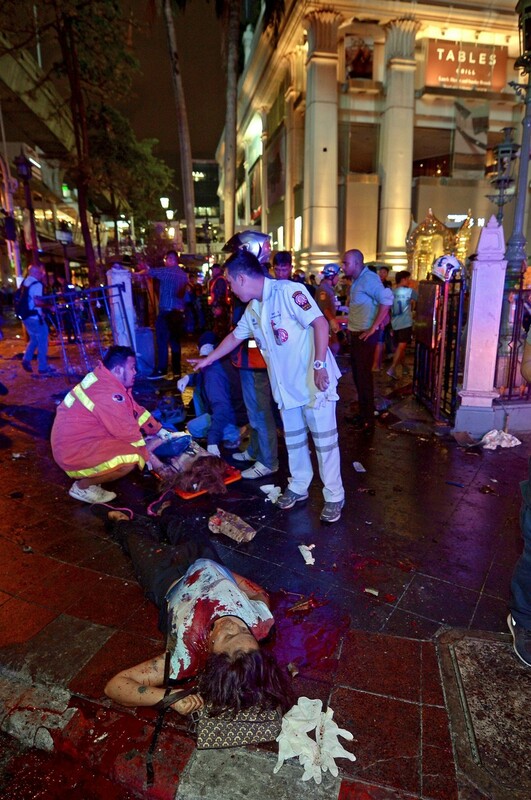 "I can't believe our holiday would end like this," he said.